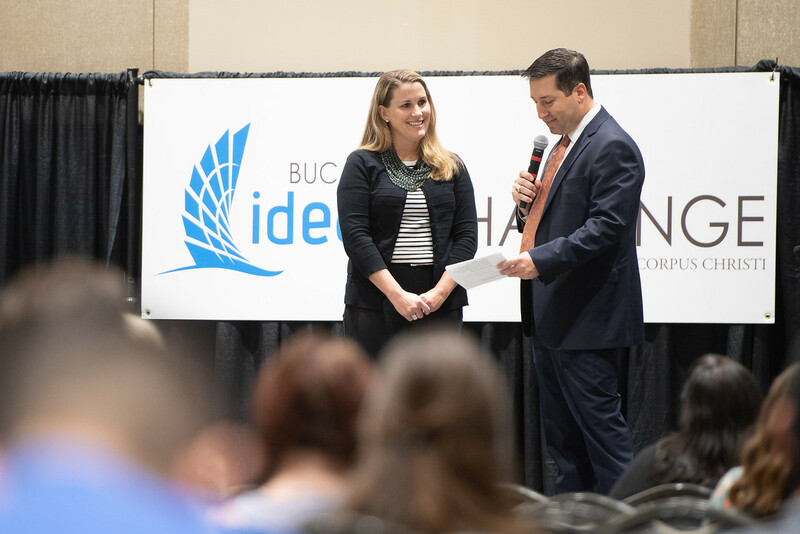 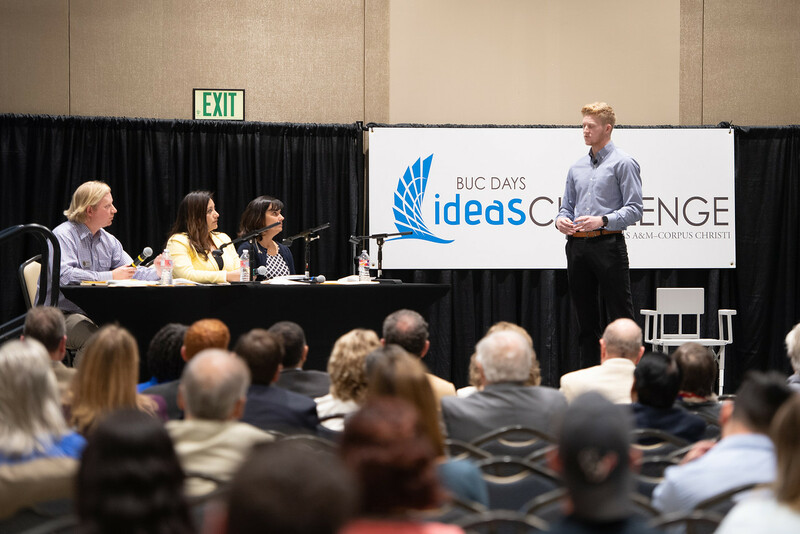 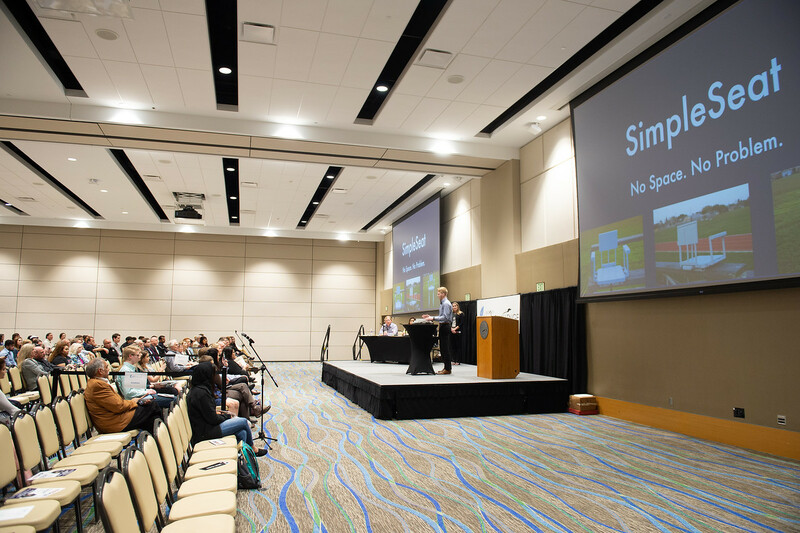 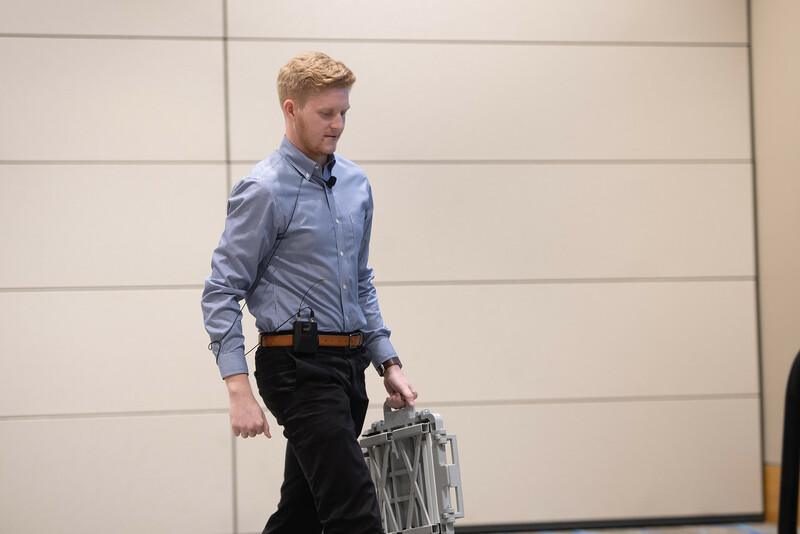 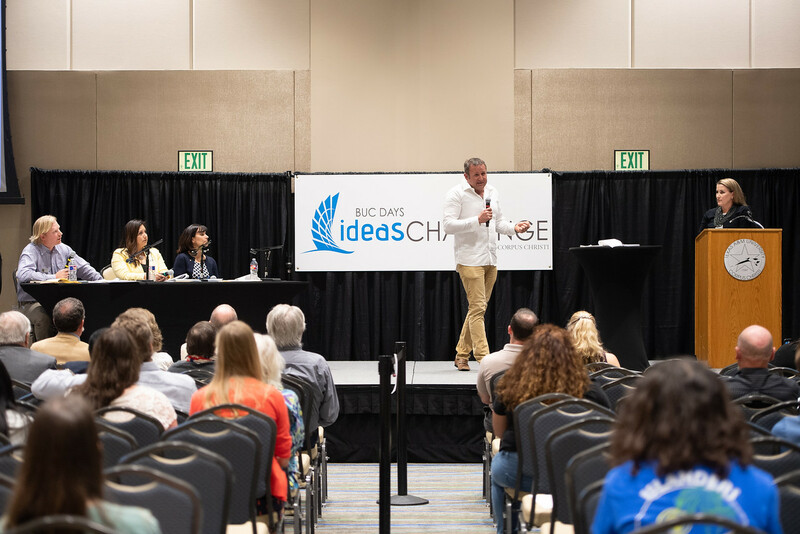 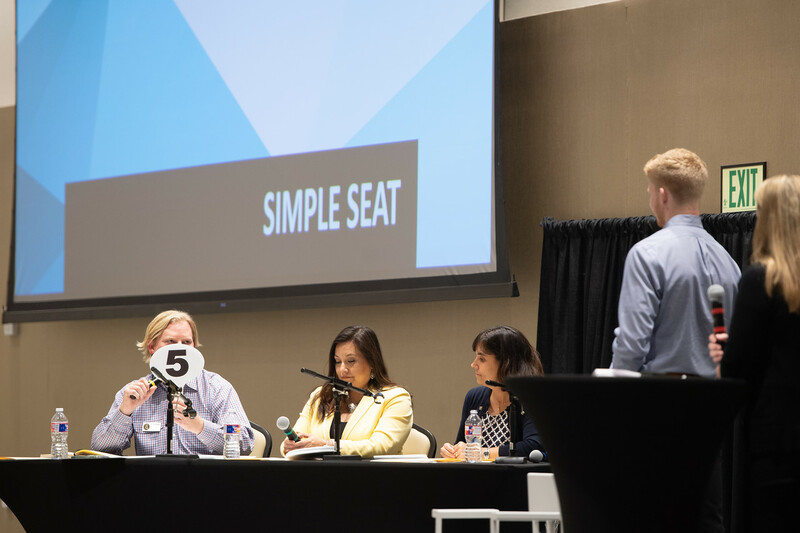 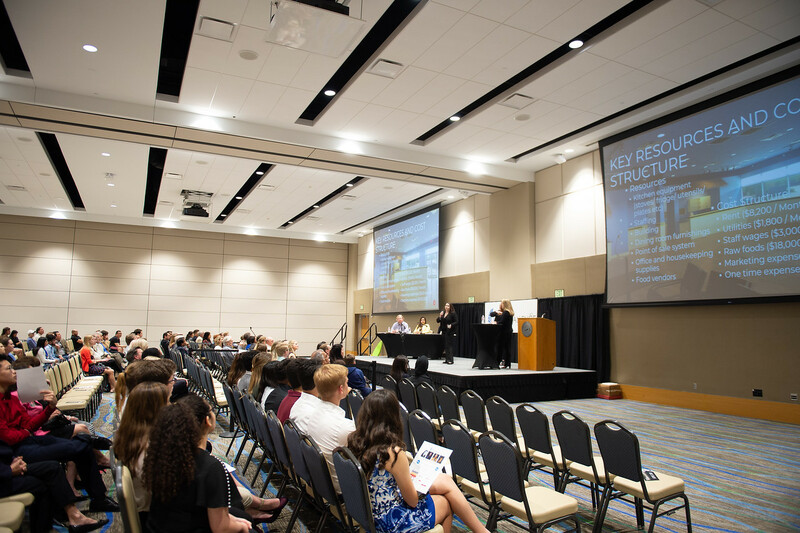 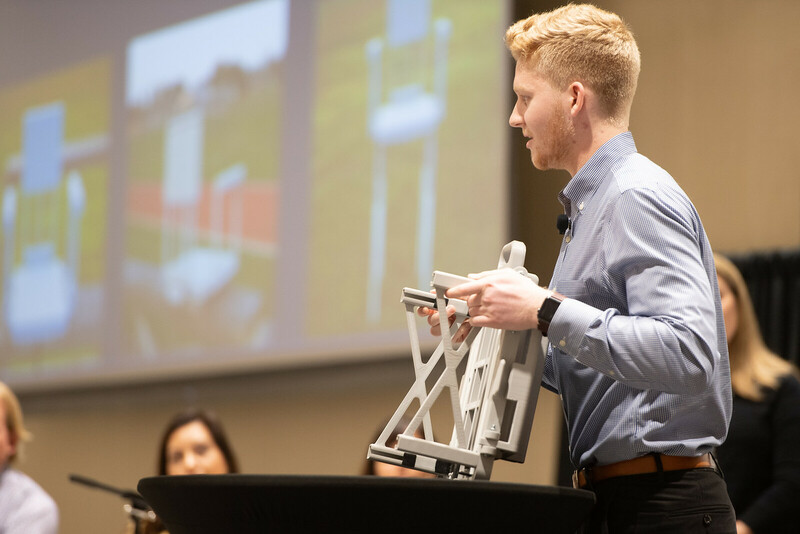 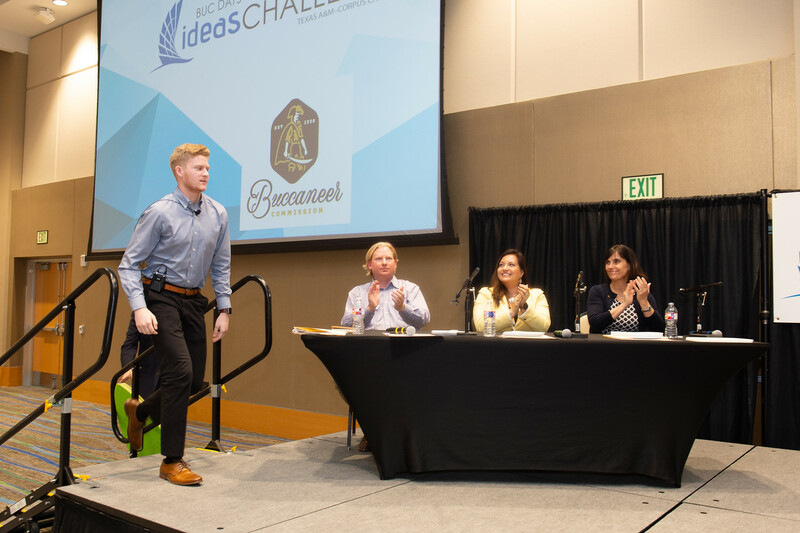 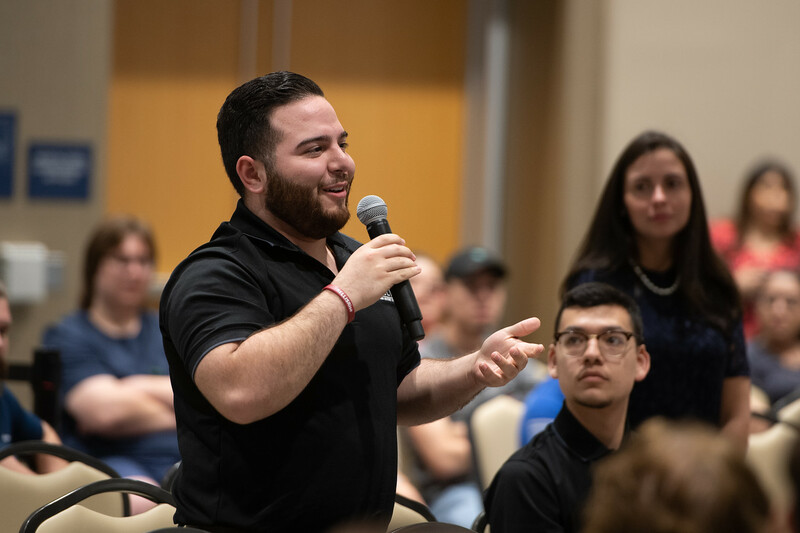 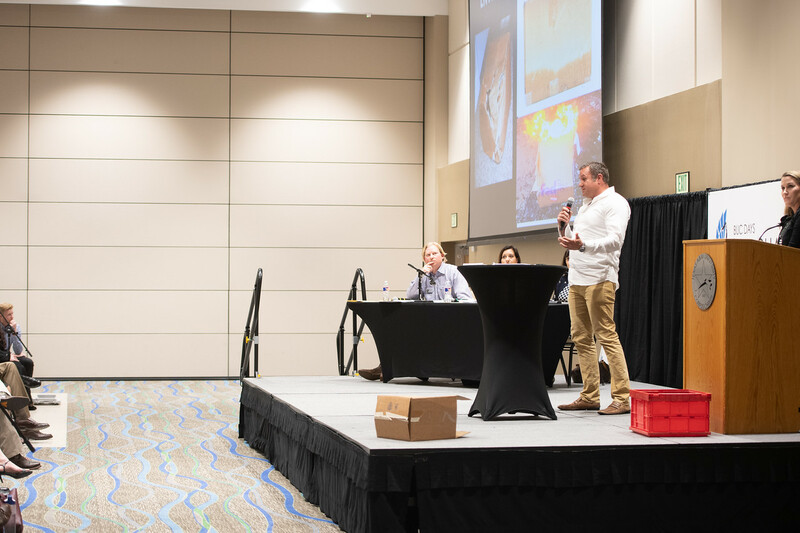 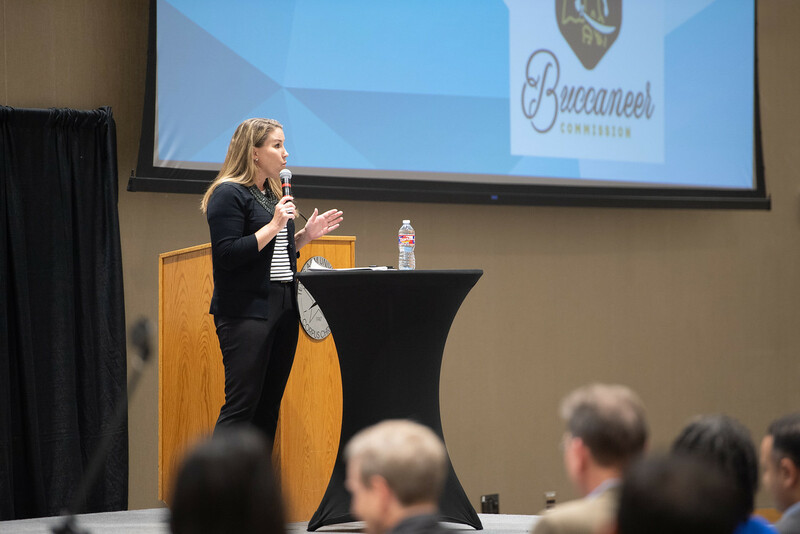 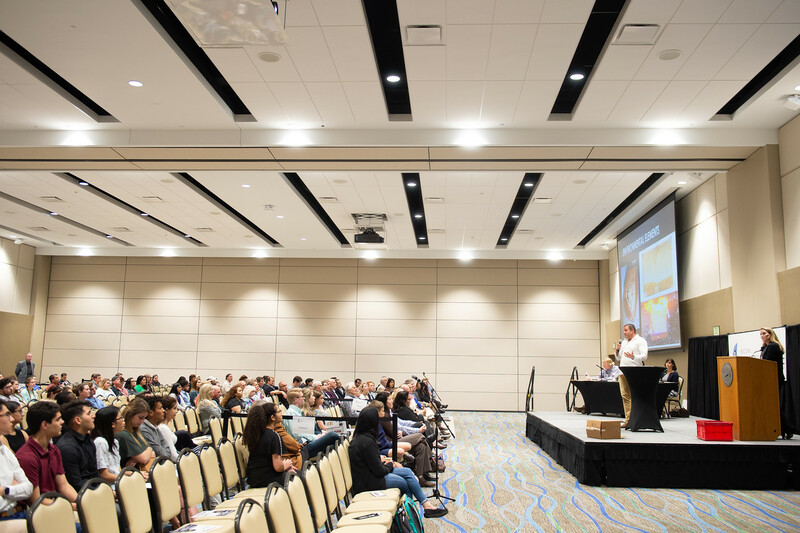 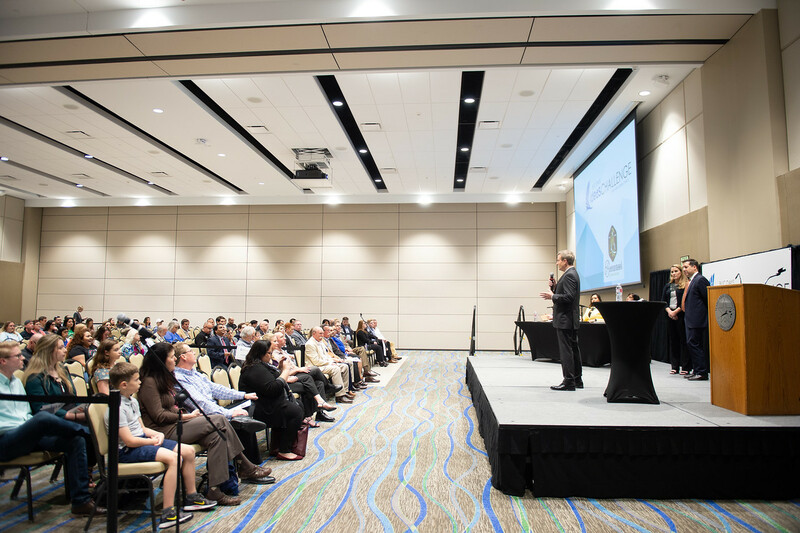 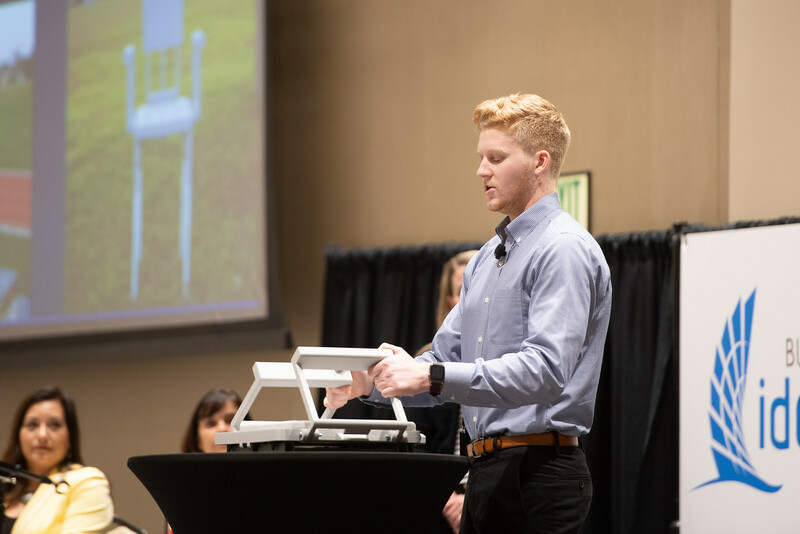 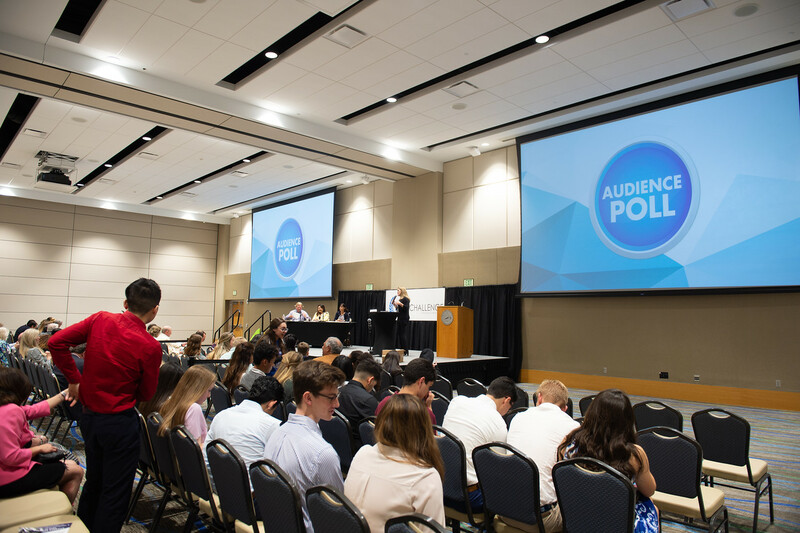 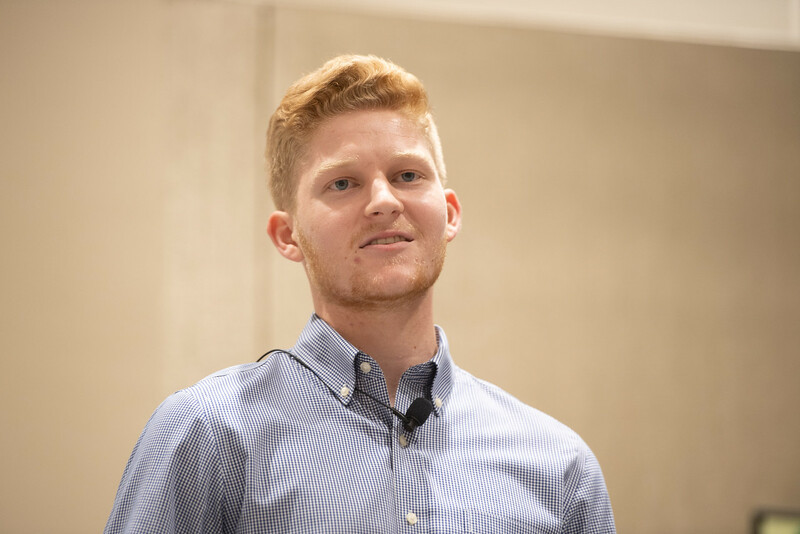 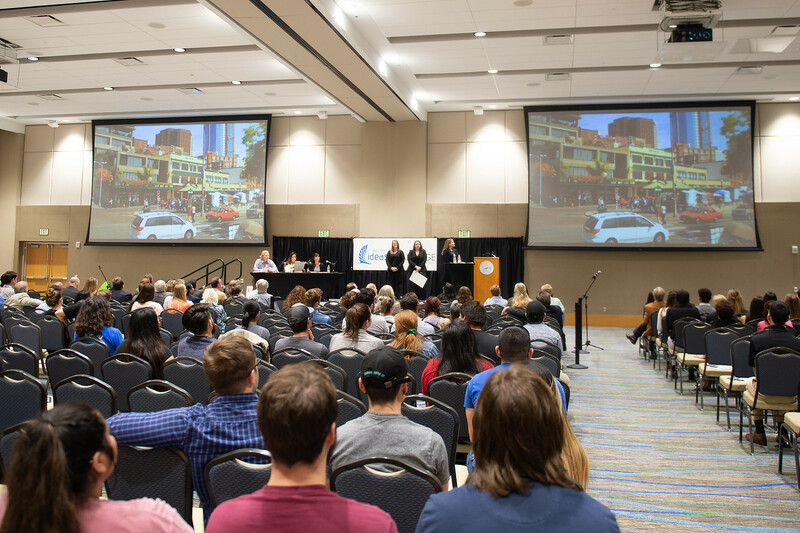 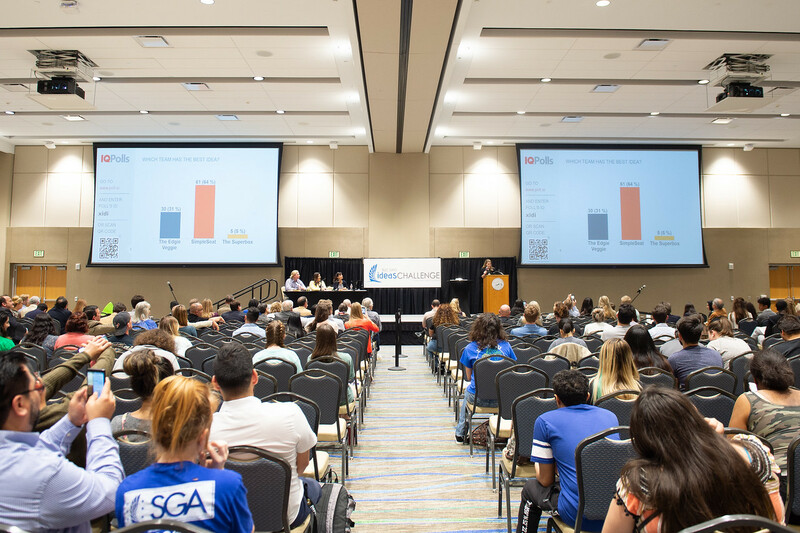 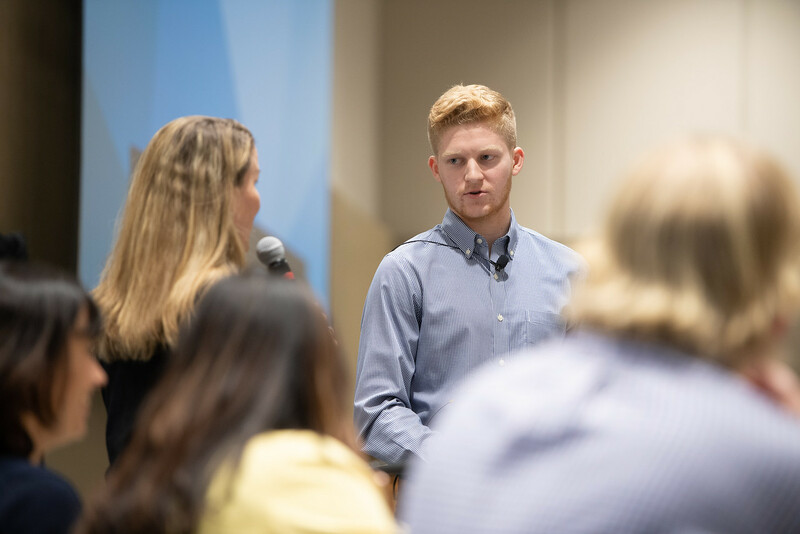 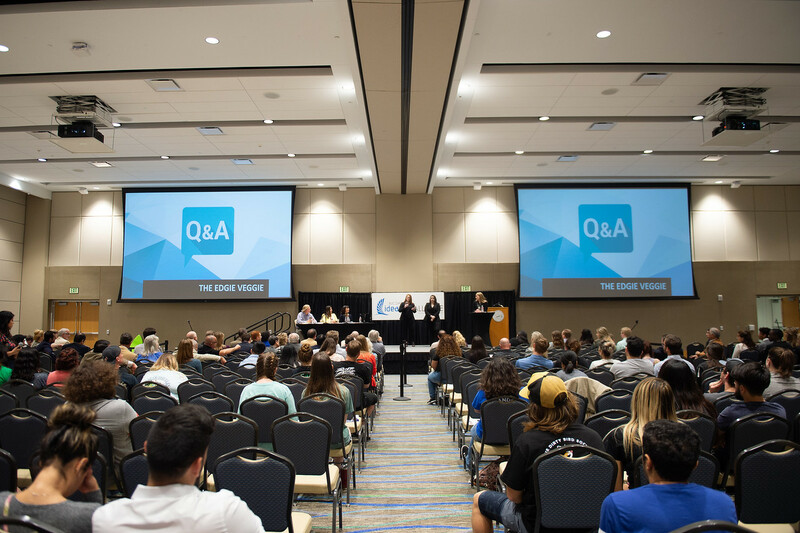 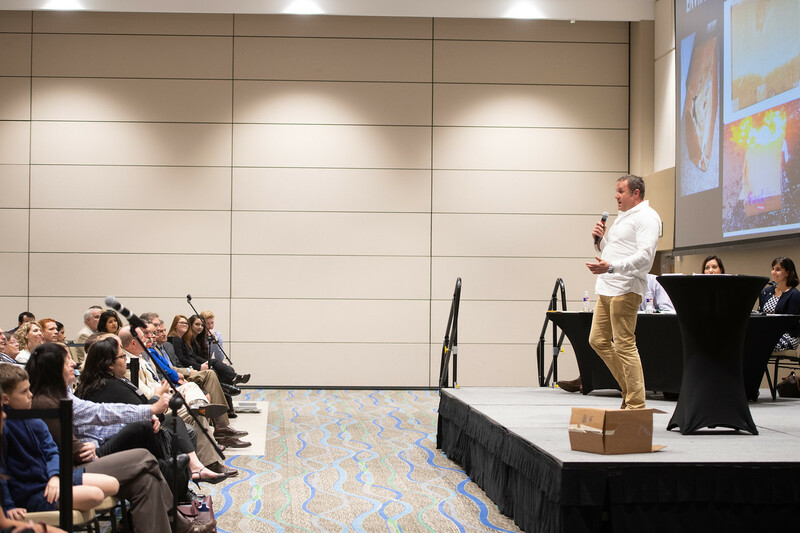 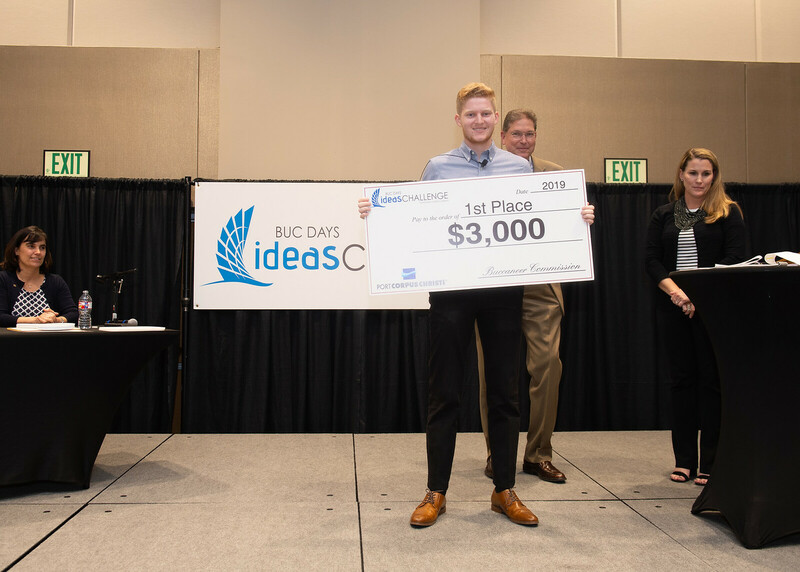 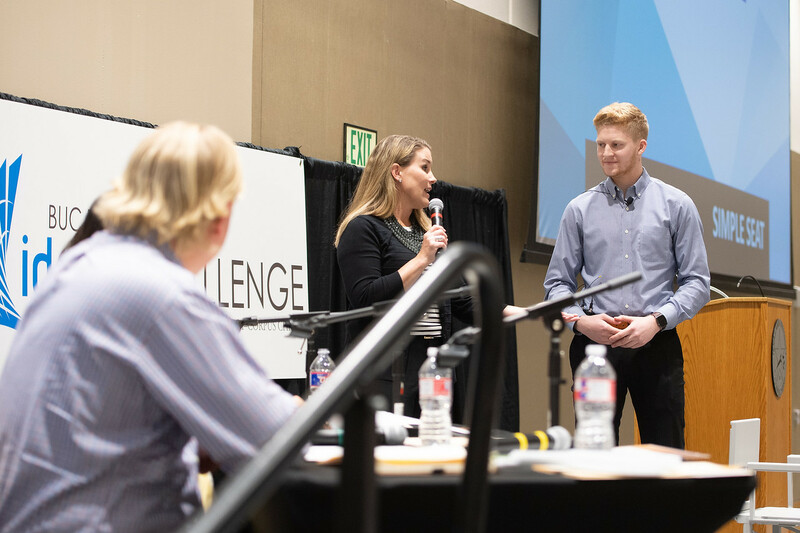 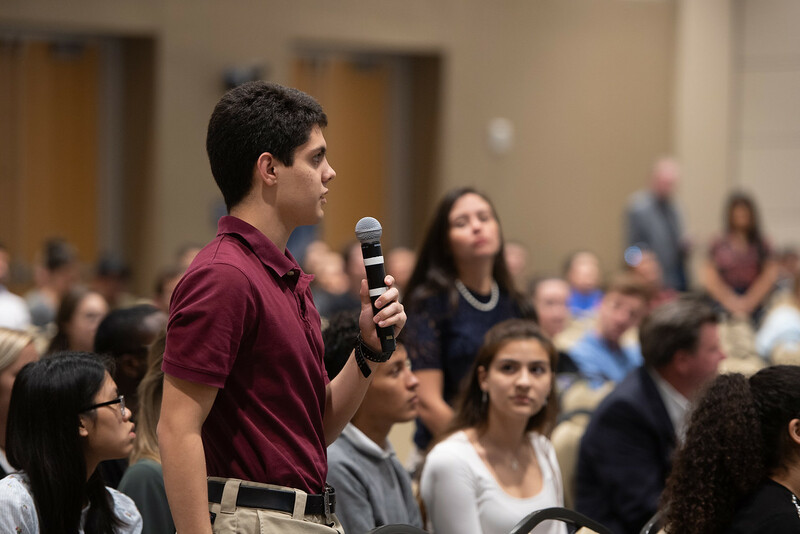 CORPUS CHRISTI, Texas – A “simple” idea meeting a big need was the formula behind freshman, Luke Raglin’s winning pitch at the fourth annual Buc Days Ideas Challenge Tuesday, March 26. 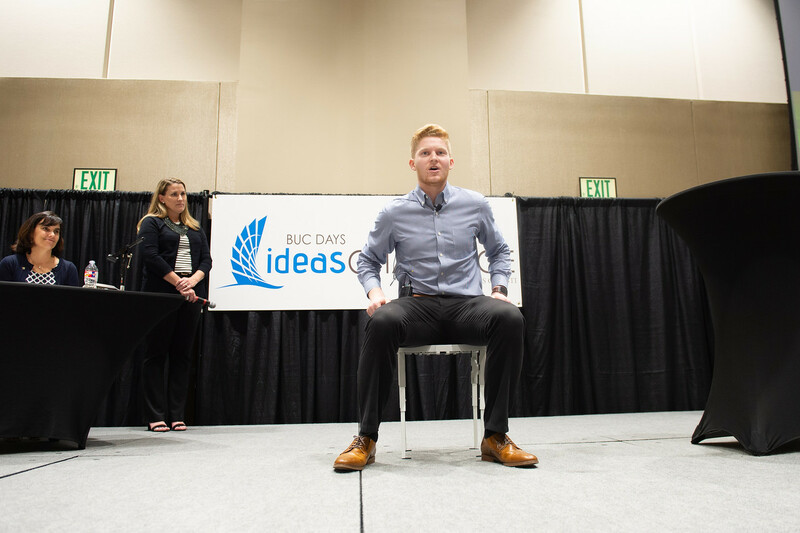 The slogan behind Raglin’s compact chair, Simple Seat, is “No space, no problem.” Raglin has been percolating the idea since he was an athlete in high school - fully aware of the need for additional chairs at a game. 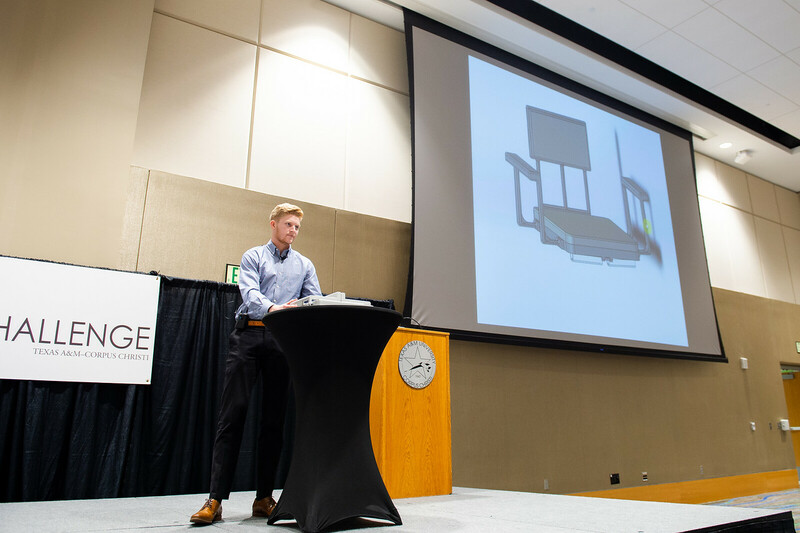 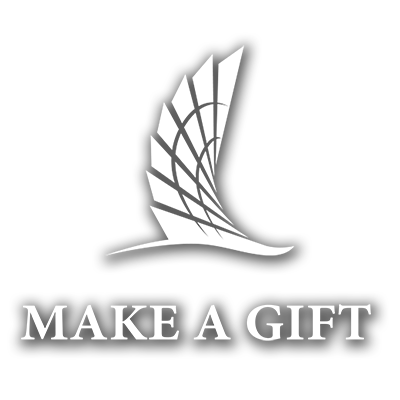 However, it wasn’t until he enrolled as a Marketing Major at Texas A&M University-Corpus Christi that he was able to take his idea to the next level of a prototype. 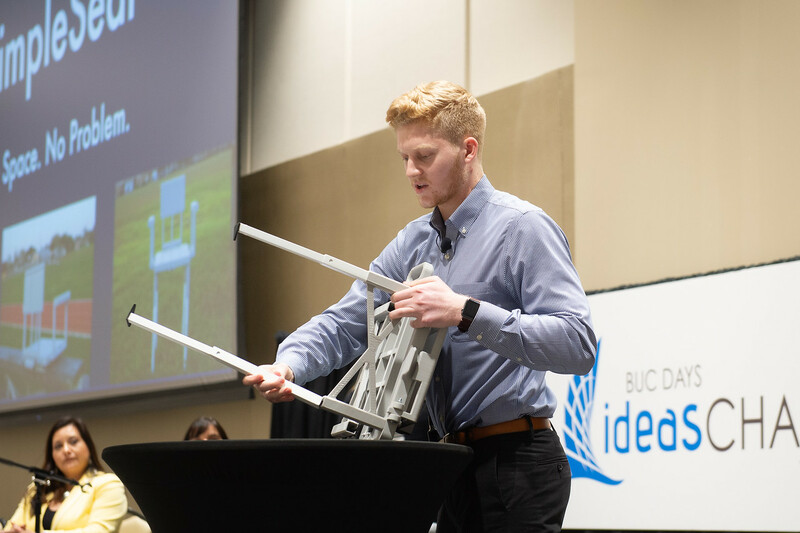 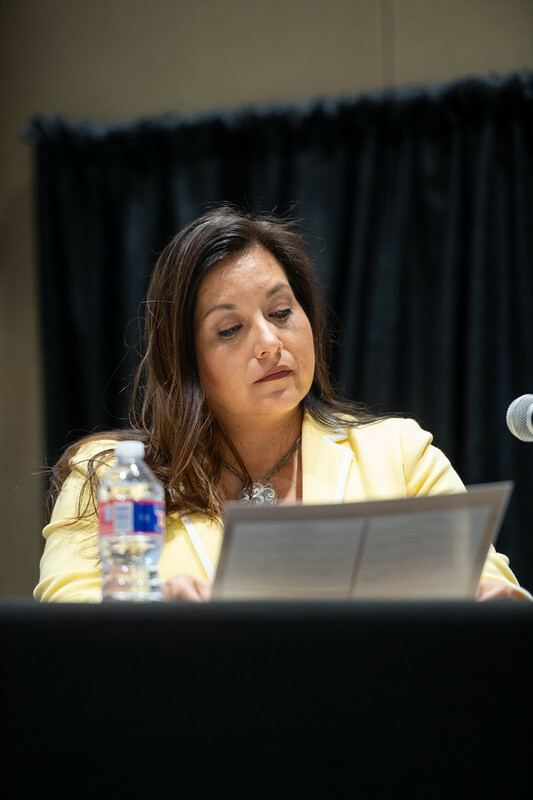 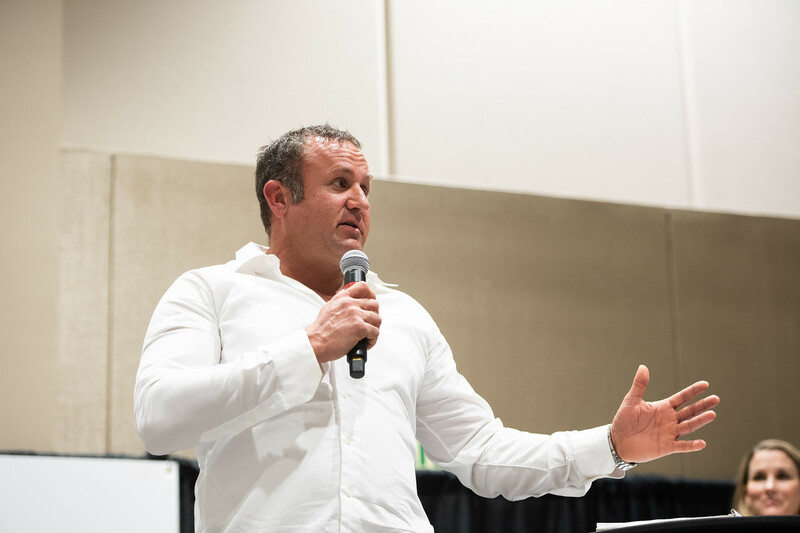 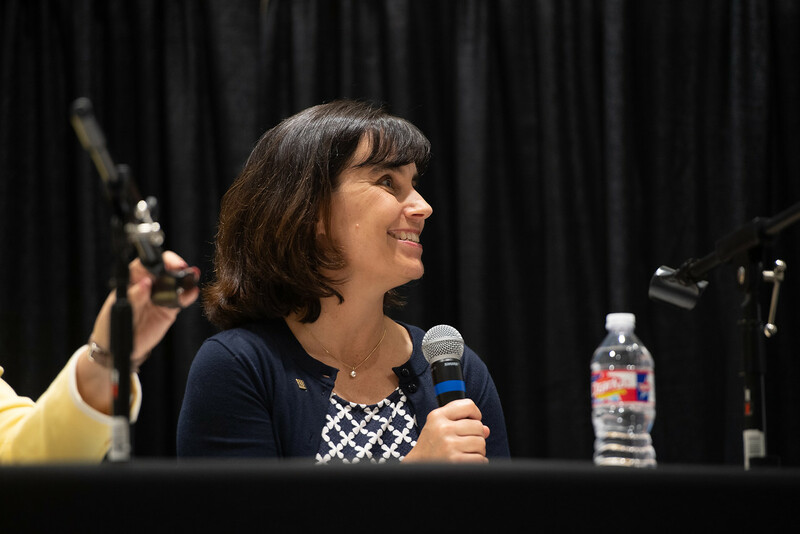 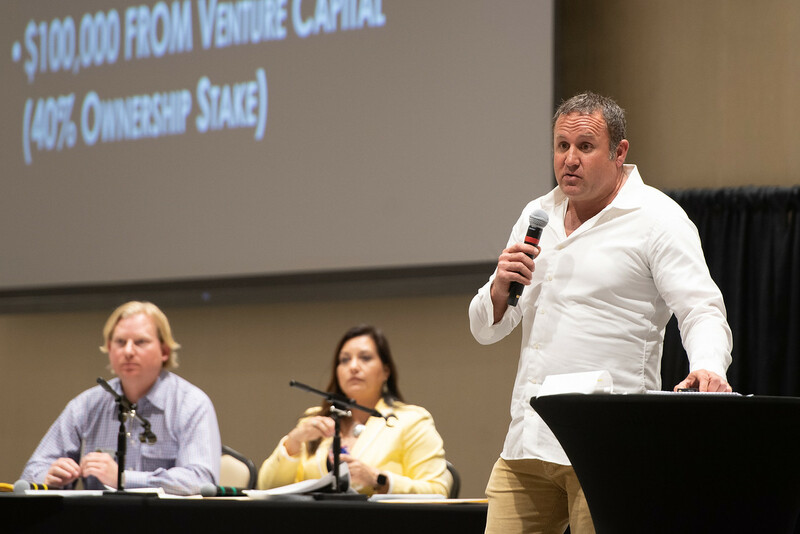 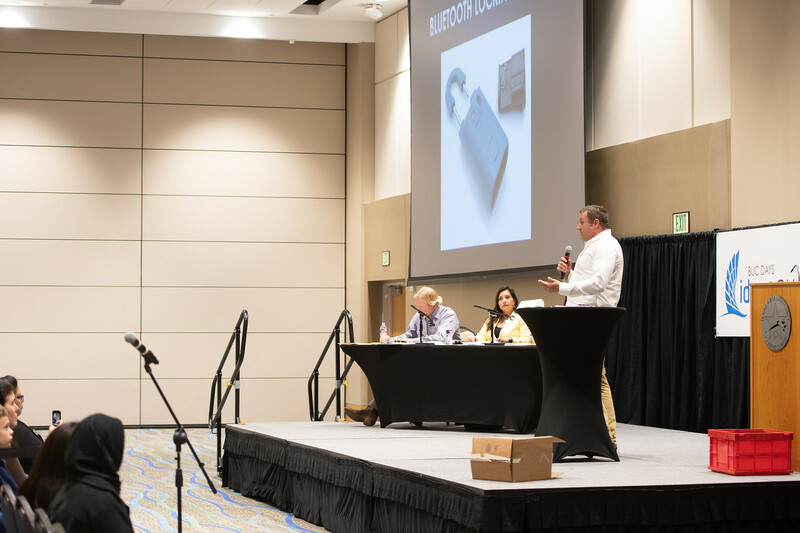 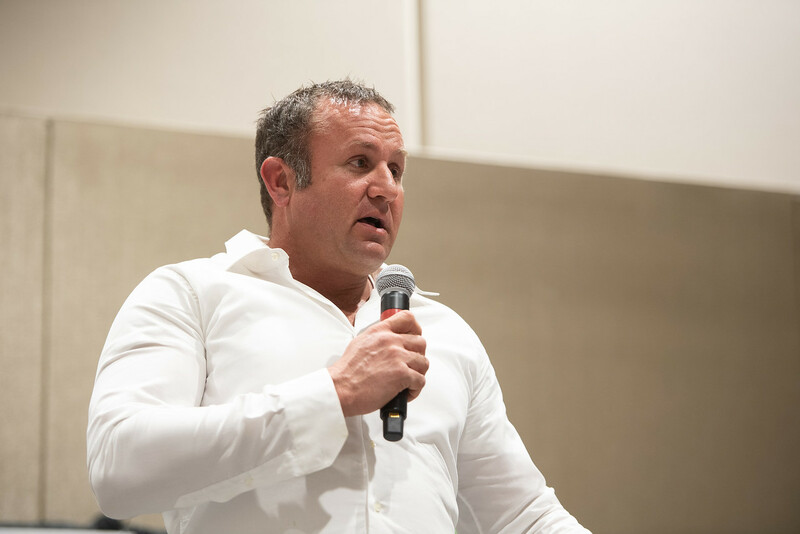 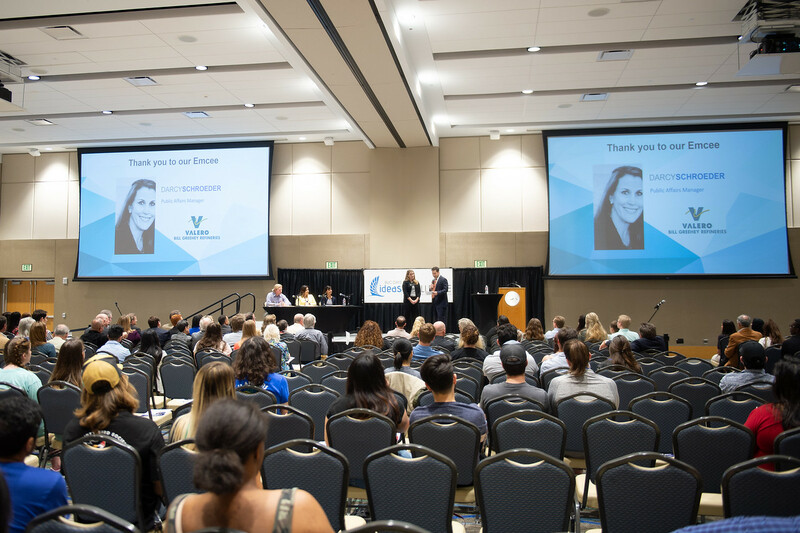 “I shared my idea with an entrepreneurship professor and that led to being introduced to a downtown Corpus Christi company whose engineers built my prototype,” Raglin said. 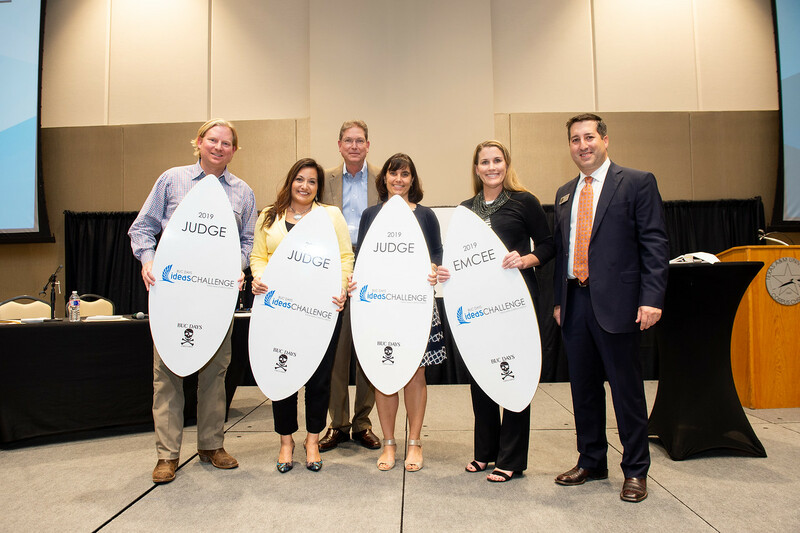 All three judges made up of community business leaders gave Raglin the top score of a five. 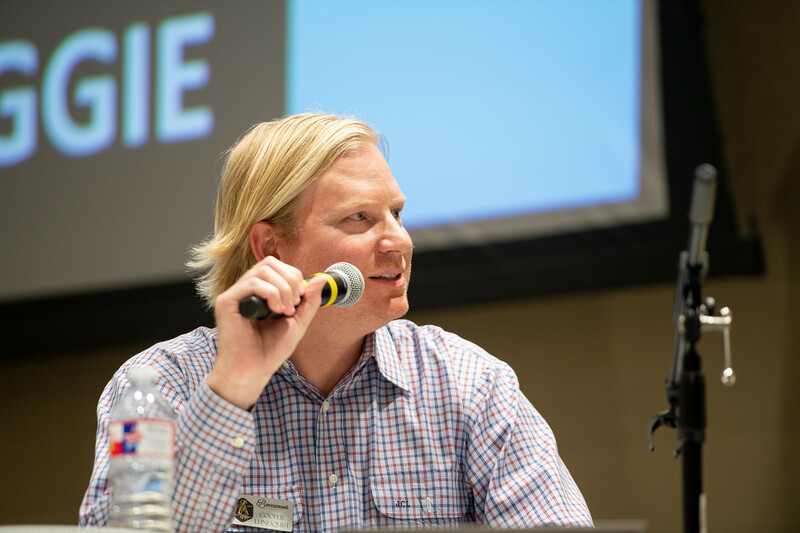 Allison Webster, American Bank Engagement and Community Officer Allison Webster said she loved his entrepreneurial spirit. 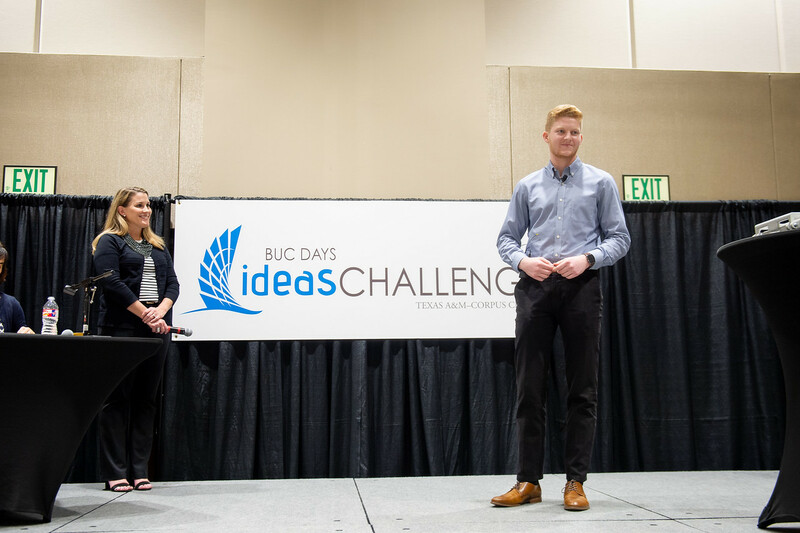 Raglin said he’s an entrepreneur at heart and was committed to joining the Buc Days Ideas Challenge competition from the moment he learned about it at freshman orientation. 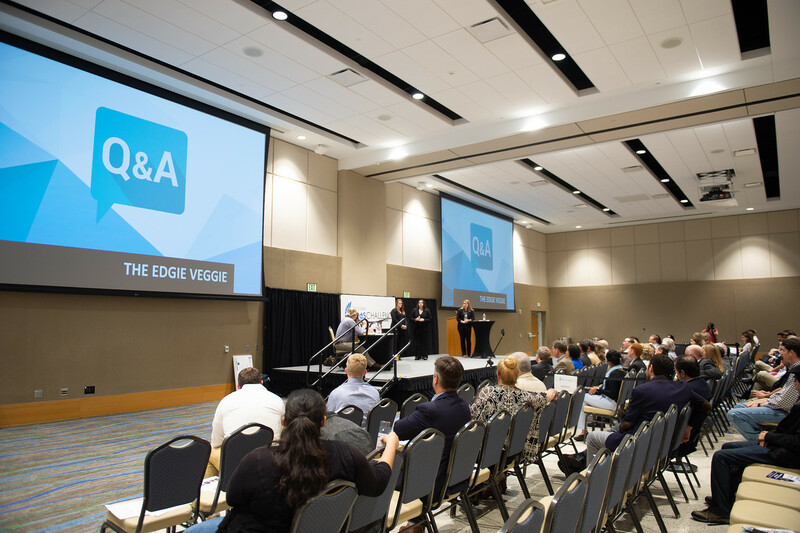 “It is really great to see my goal realized and the work pay off,” Raglin said. 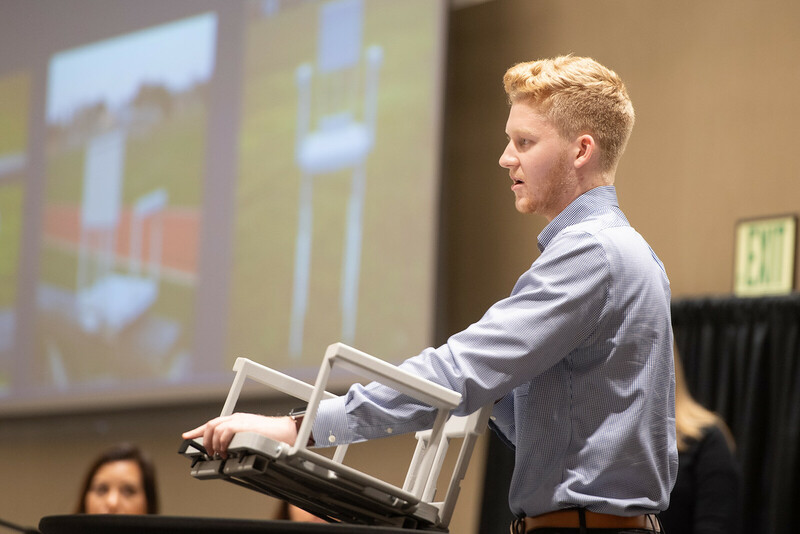 Overall the judges were convinced that Simple Seat met a need and that Raglin’s business plan was realistic and well thought out. 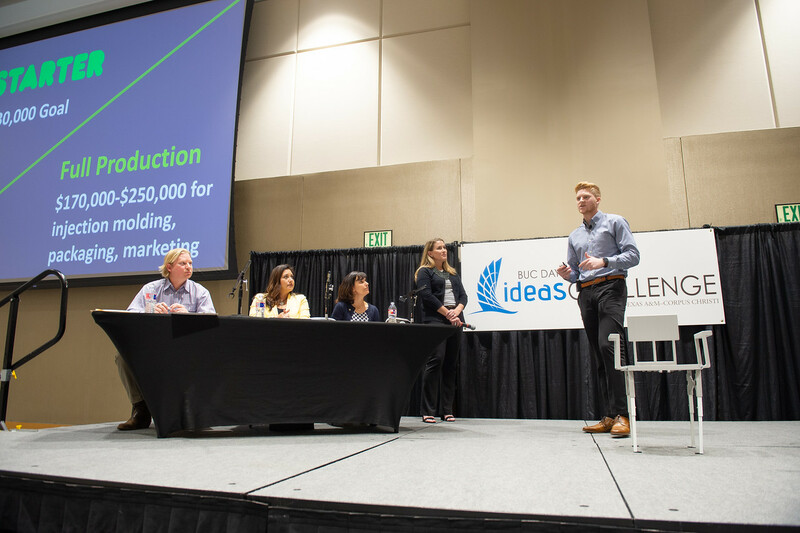 Audience voting reflected the same sentiment, landing Raglin the grand prize of $3,000. 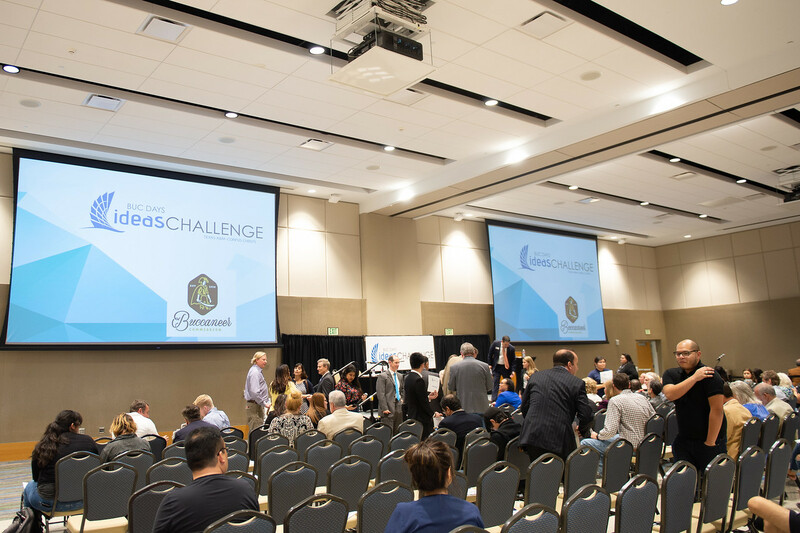 Making it to the Ideas Challenge event is a competition in itself. 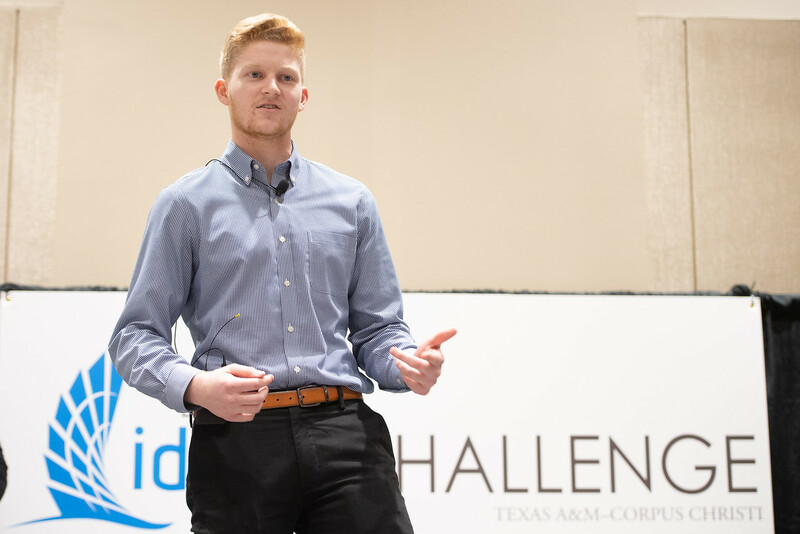 Each year only three teams are selected to live-pitch. 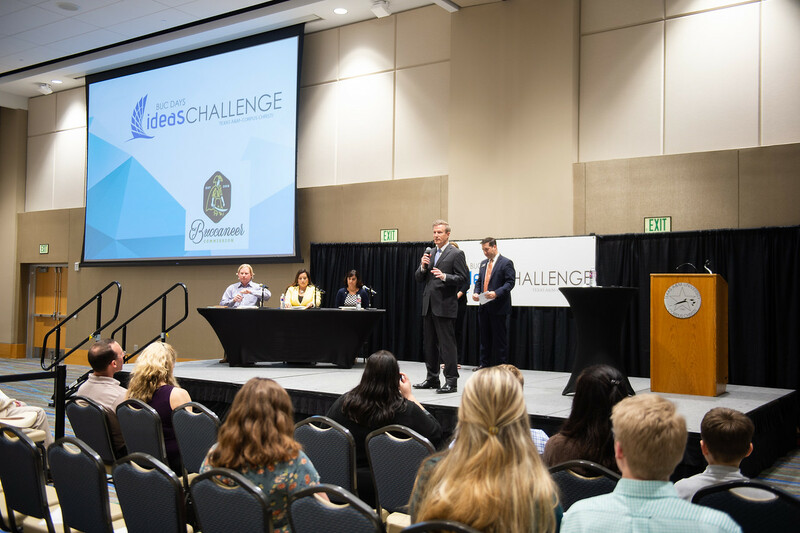 Students from all majors including the new RELLIS Campus compete. 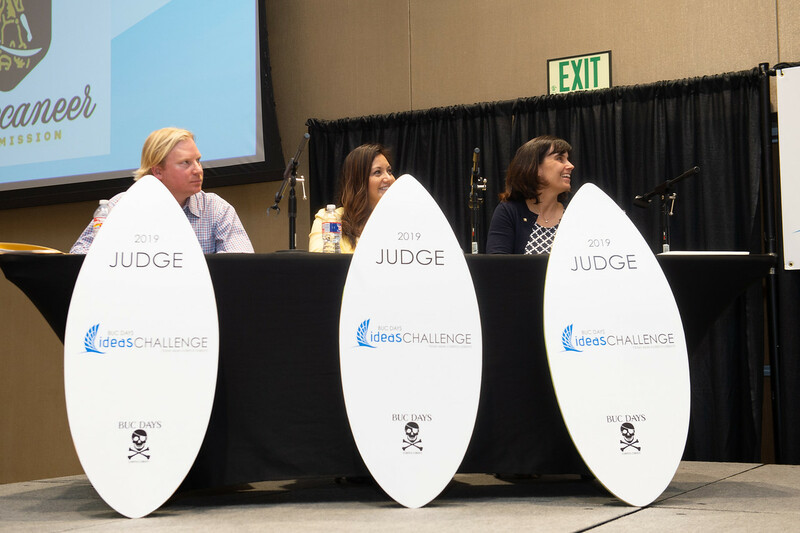 This year there were 66 entries. 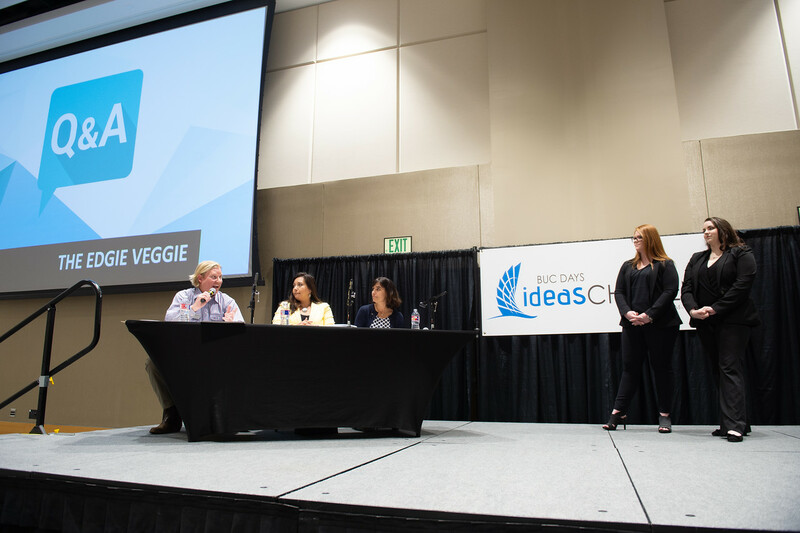 That preparation brought RELLIS campus business major Ryanne Mumm and Brittany Dobbins to second place with their pitch The Edgie Veggie. 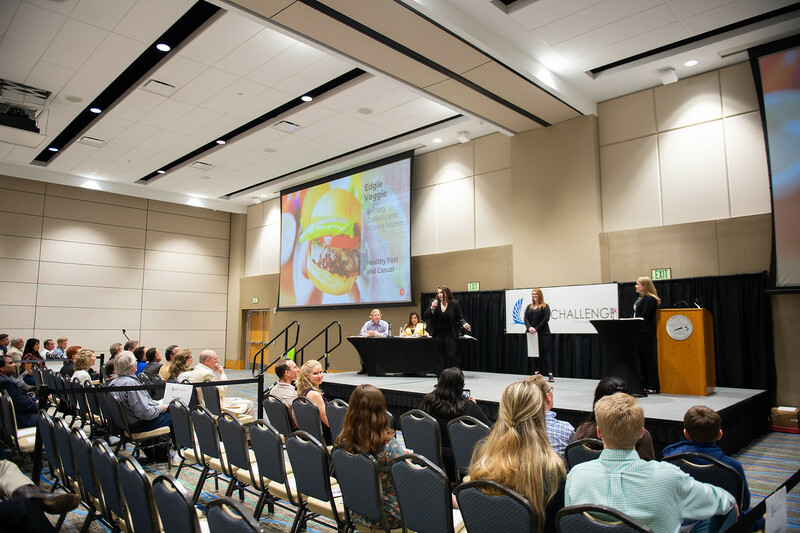 They described it as a restaurant where customers could buy tasty vegetarian meals on-the-go. 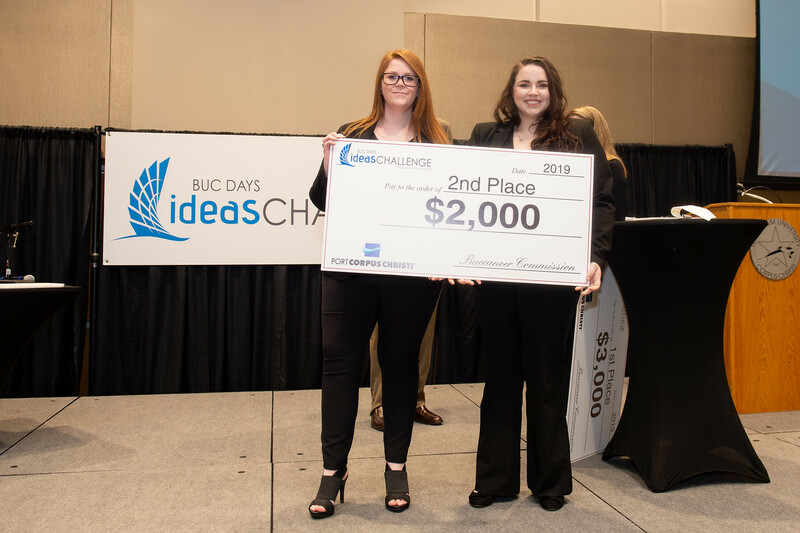 They won $2,000 for their business pitch and an additional $500 in the “best video” competition. 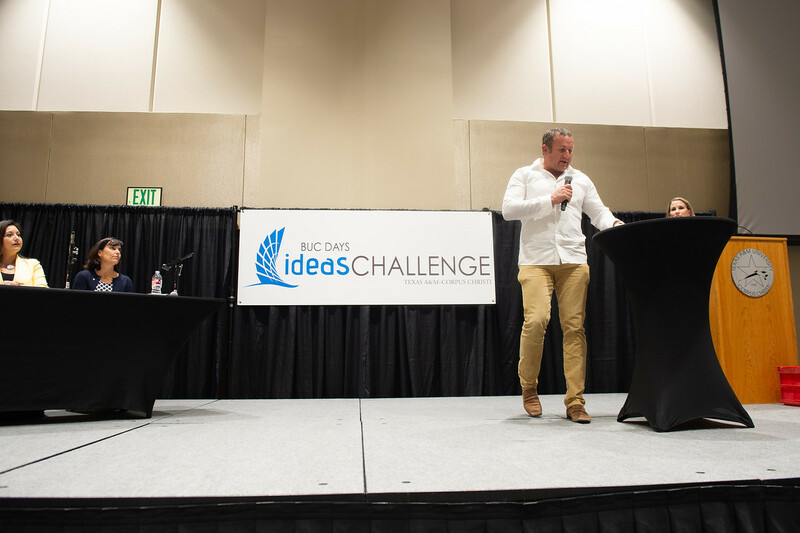 All competitors submit a video illustrating their idea, which their peers vote on. 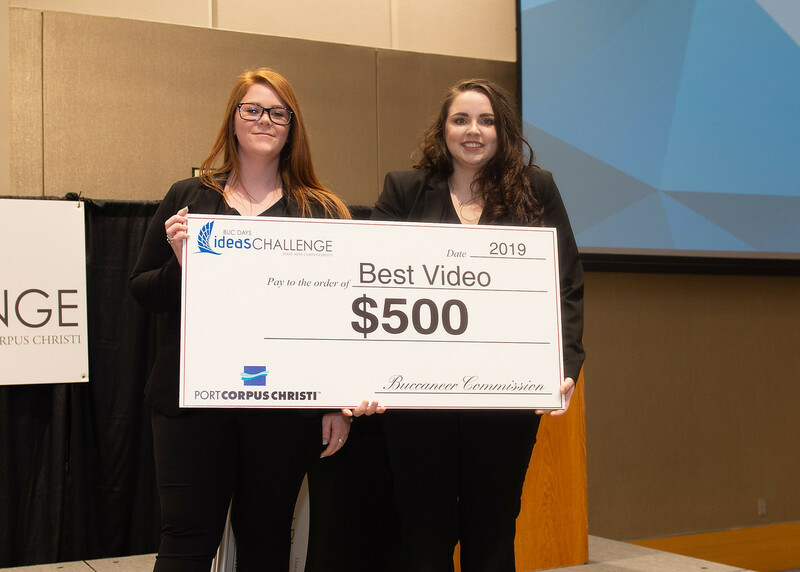 Mumm and Dobbins were excited to win best video and second prize. 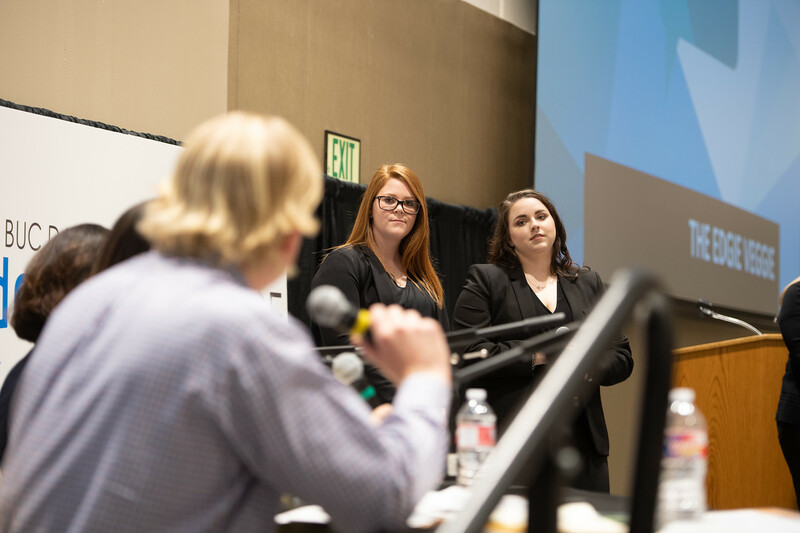 They said preparing for the competition also taught them how to improve their communication skills which they think will help them when they begin interviewing for jobs upon graduation. 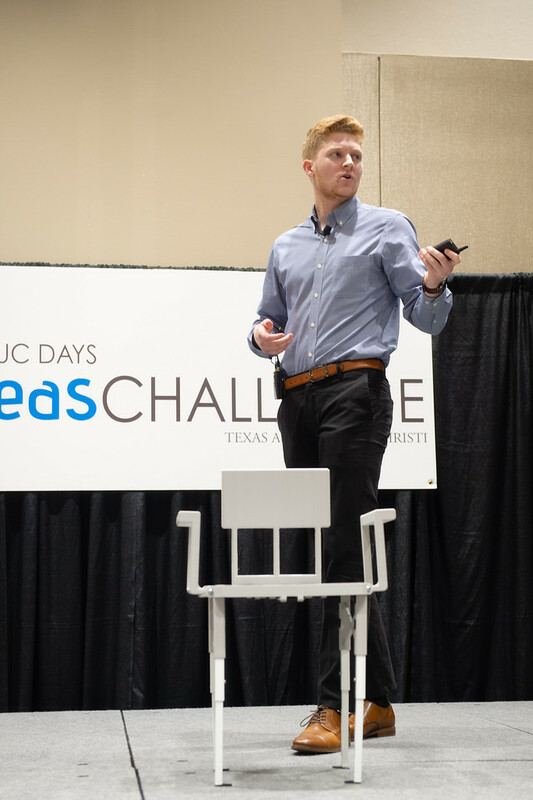 Lessons that extend beyond the classroom is part of the goal. 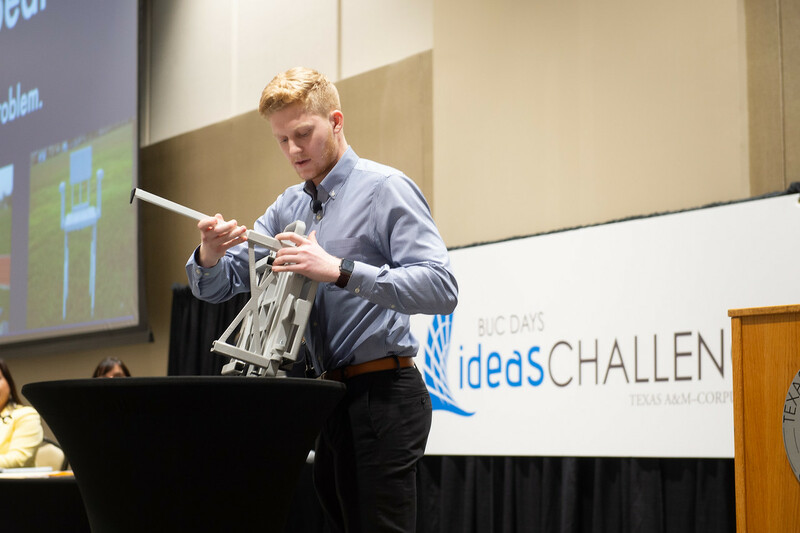 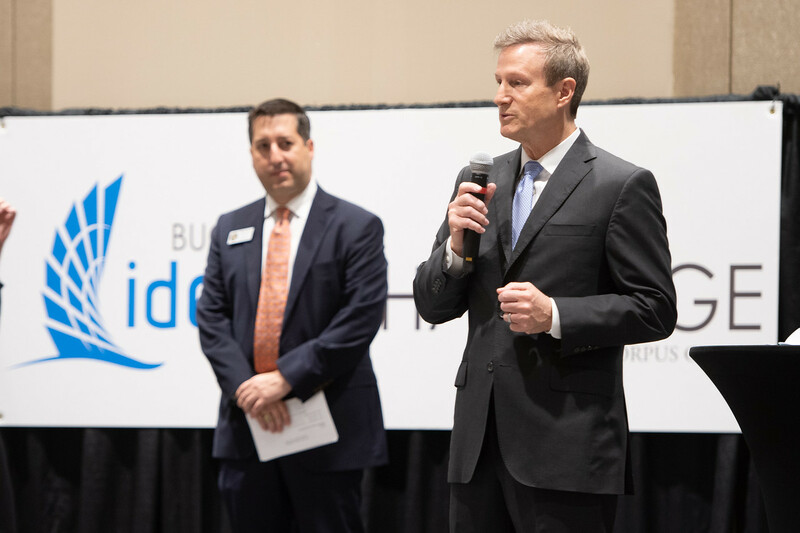 “I was most impressed that the students understood that their business ideas need to solve a problem,” Byus said. 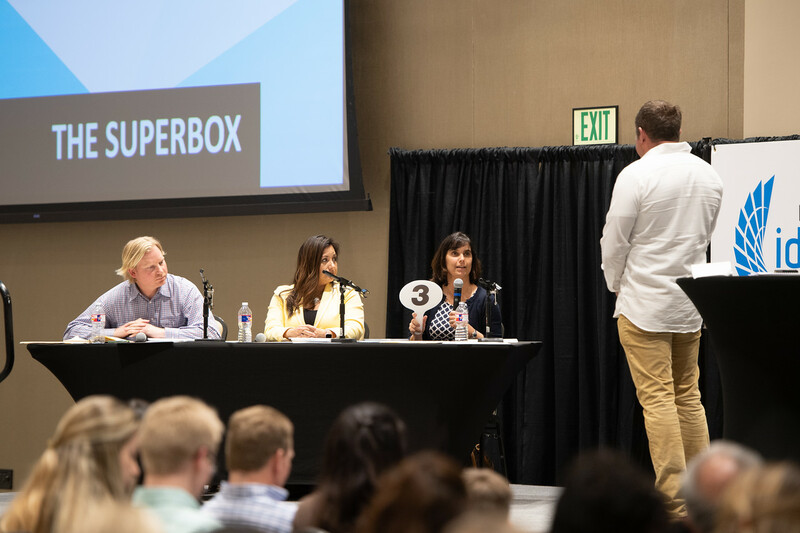 Which is exactly what Senior Business Major, Cass Gabriel nailed with his idea SuperBox. 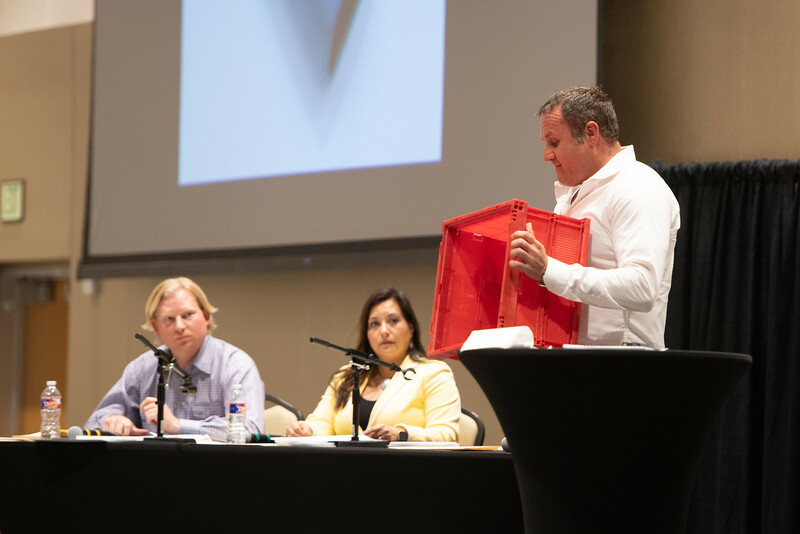 There were audience head-nods when he asked, 'Has your package ever been lost? 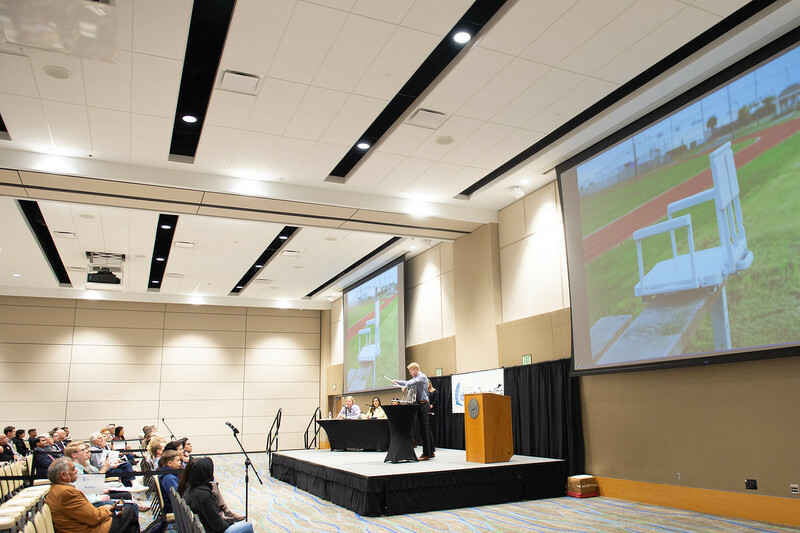 Have you been anxious about the arrival time? 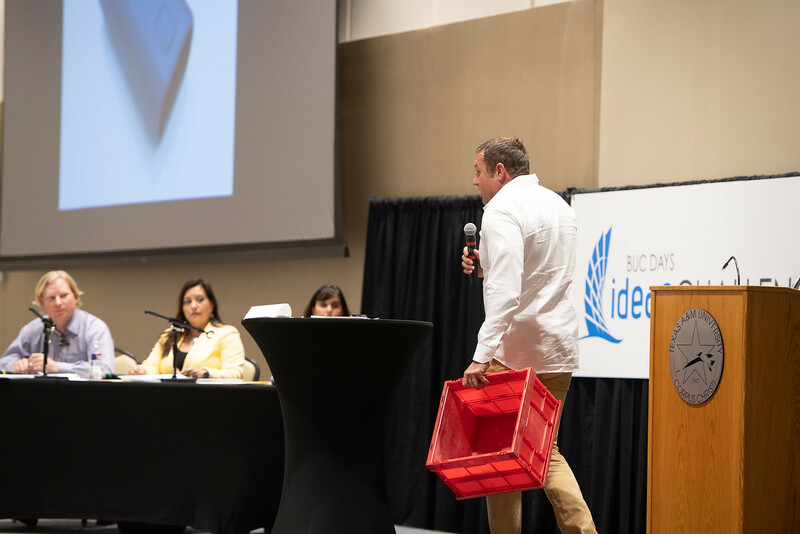 Was the box damaged in shipping?’ Gabriel explained his box made of recyclable plastic would contain a GPS tracking device and could only be opened with a code provided to the customer. 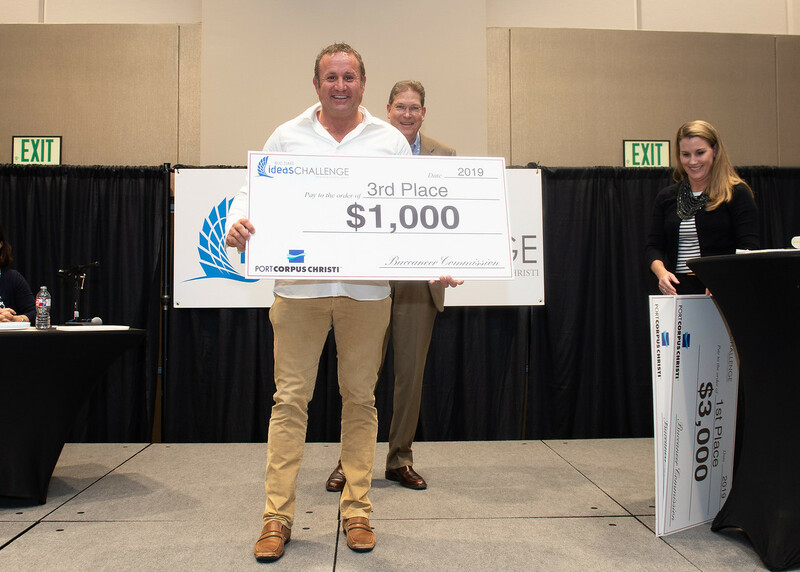 Gabriel won $1,000 for placing third. 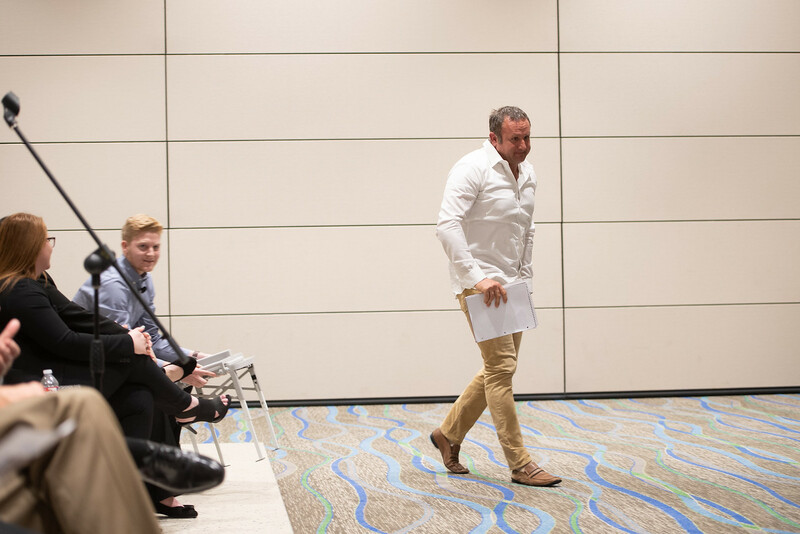 “The competition was very stiff and I think we all came out winners,” Gabriel said. 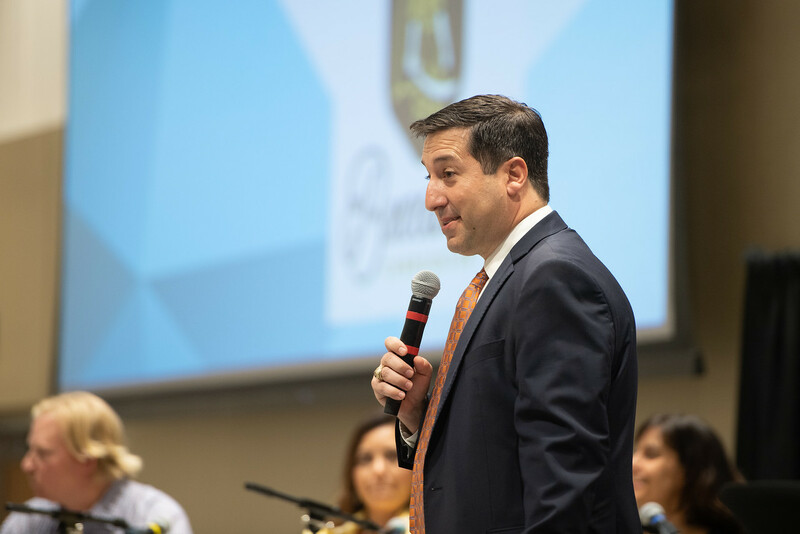 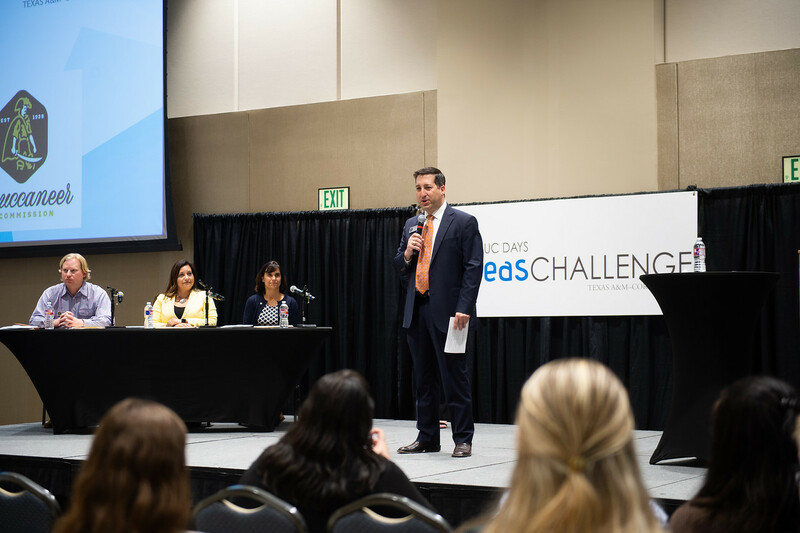 Dean of the College of Business, Dr. John Gamble said the competition is a win-win for students and the community as it is a valuable opportunity for students to engage with business professionals while they gain insight into what is happening at the university. 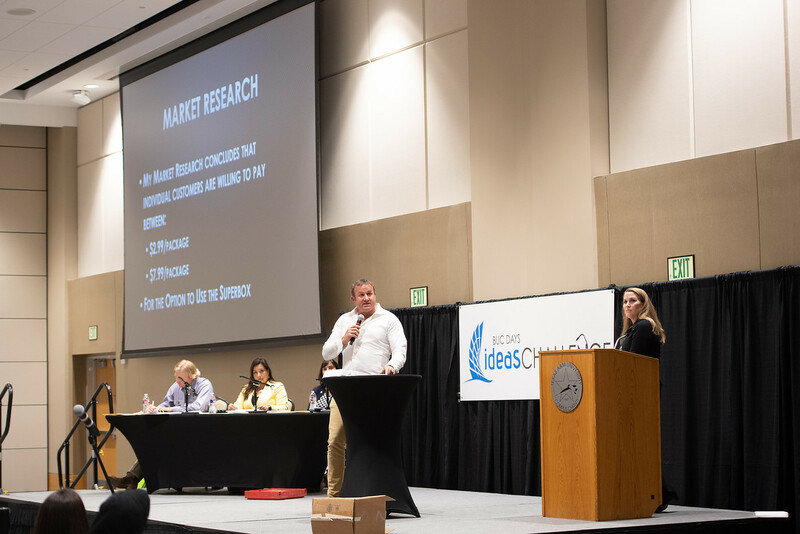 “Students are able to test the market with their business concept and gain practice pitching investors,” said Gamble. 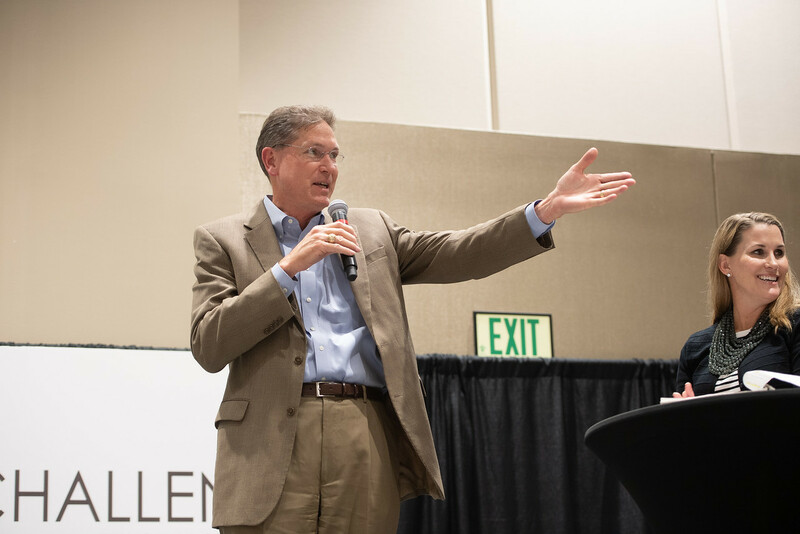 In years past, community exposure led to investments and job interviews. 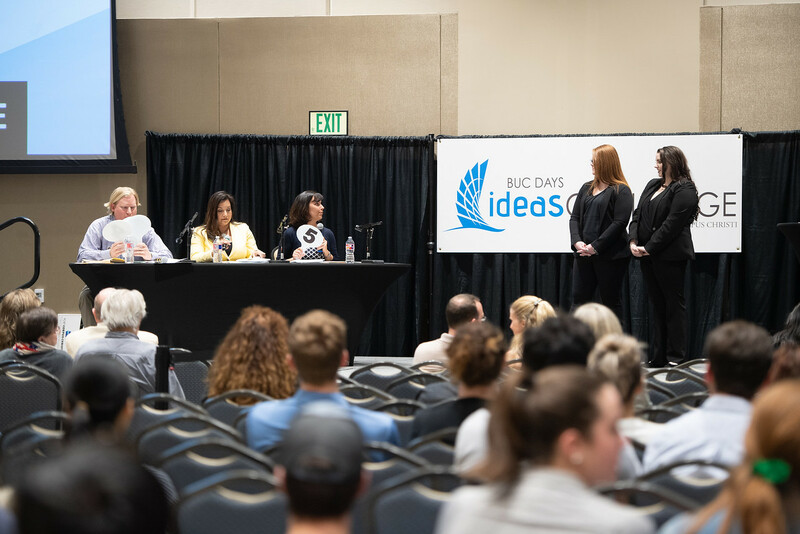 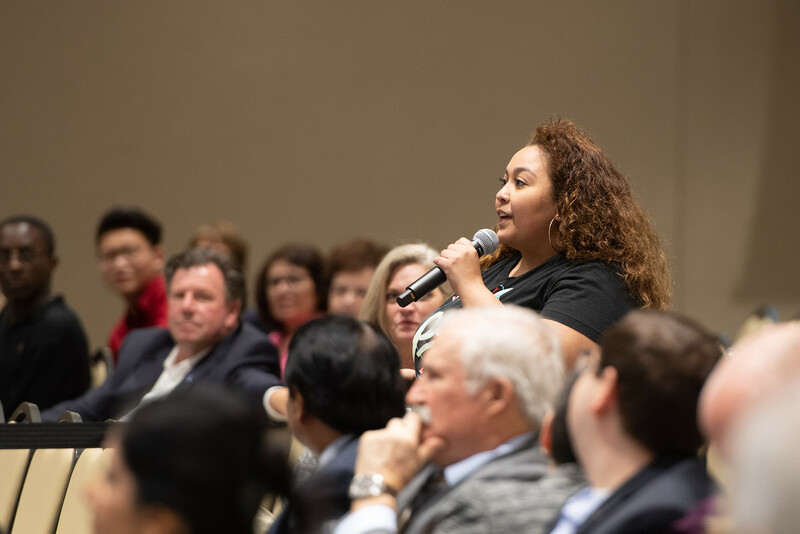 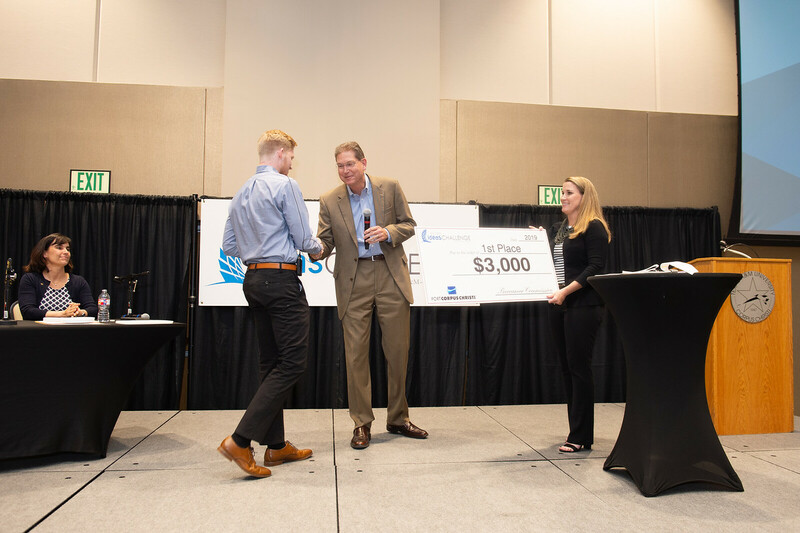 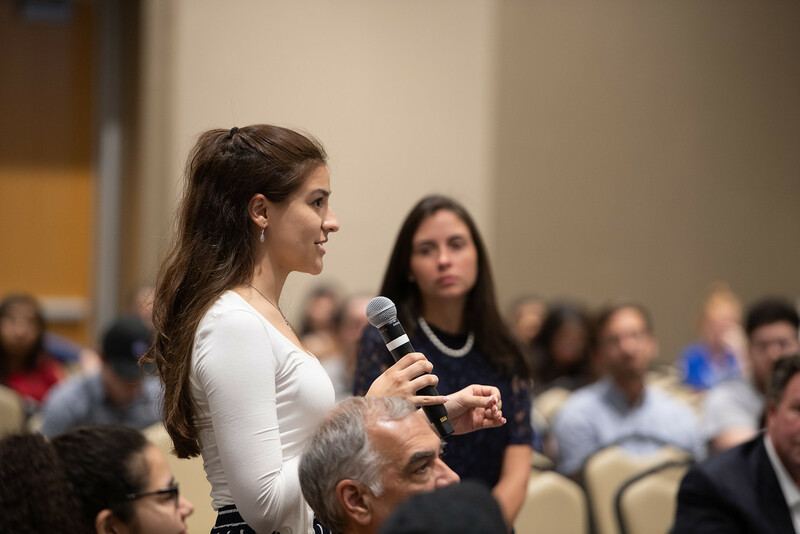 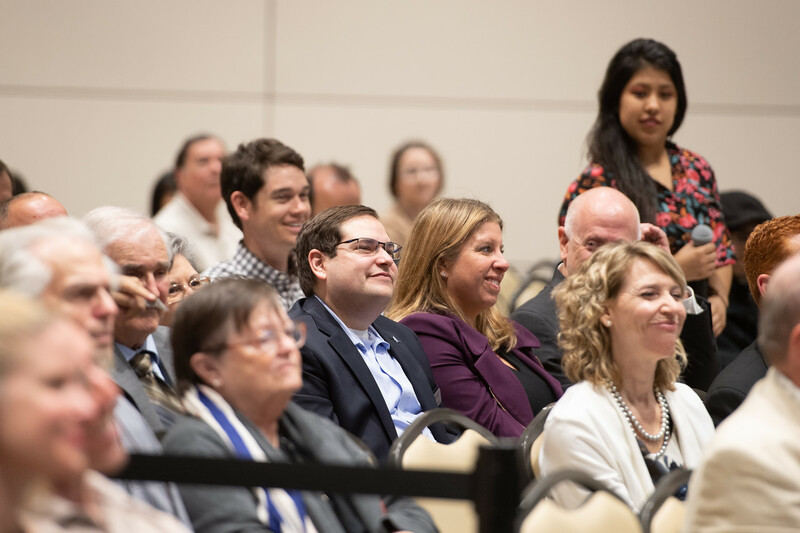 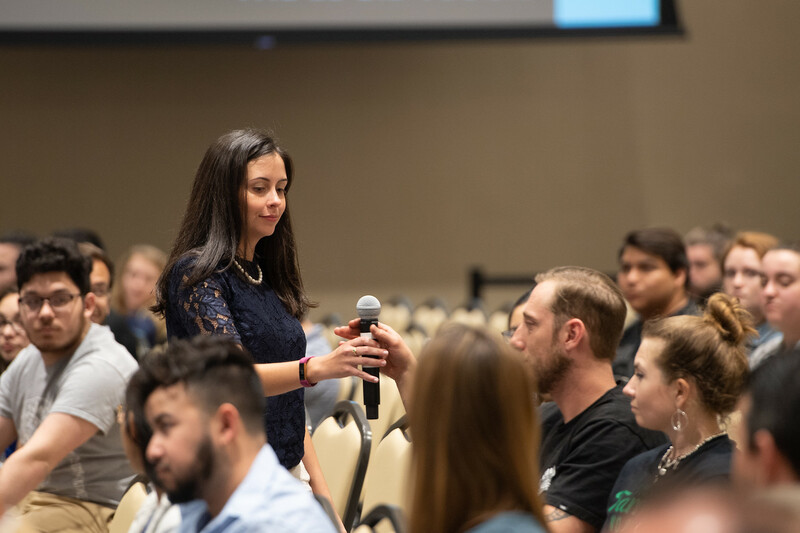 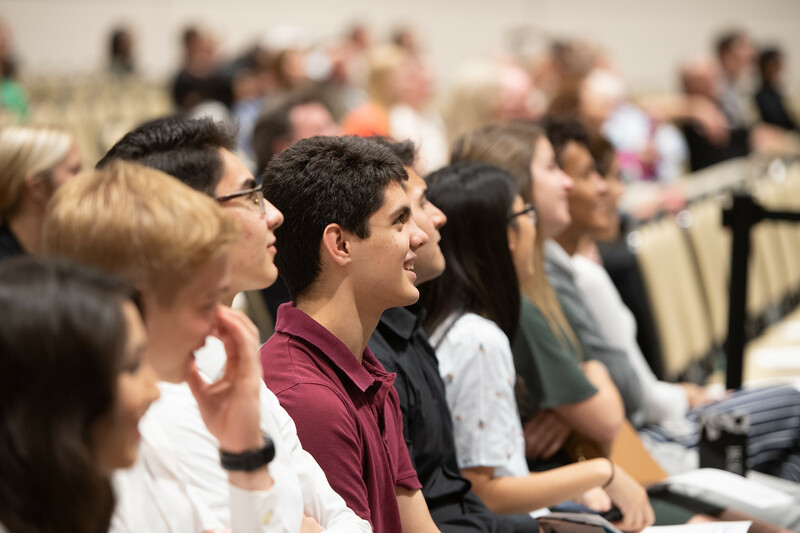 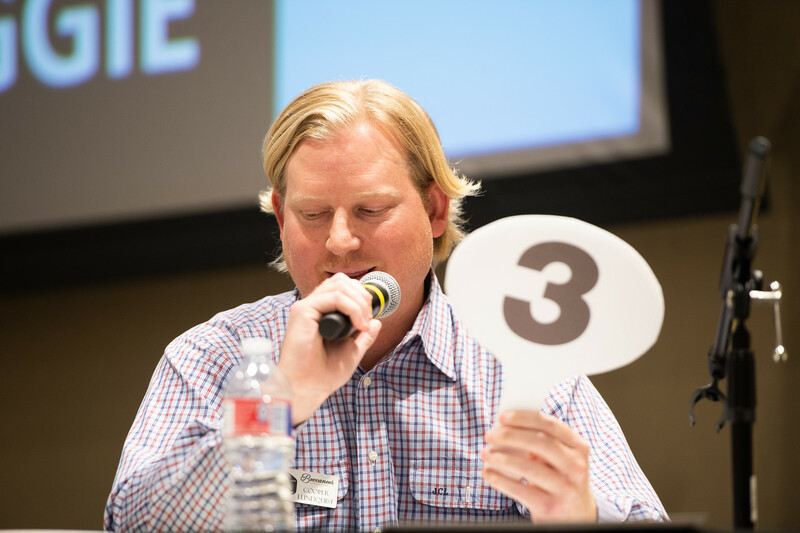 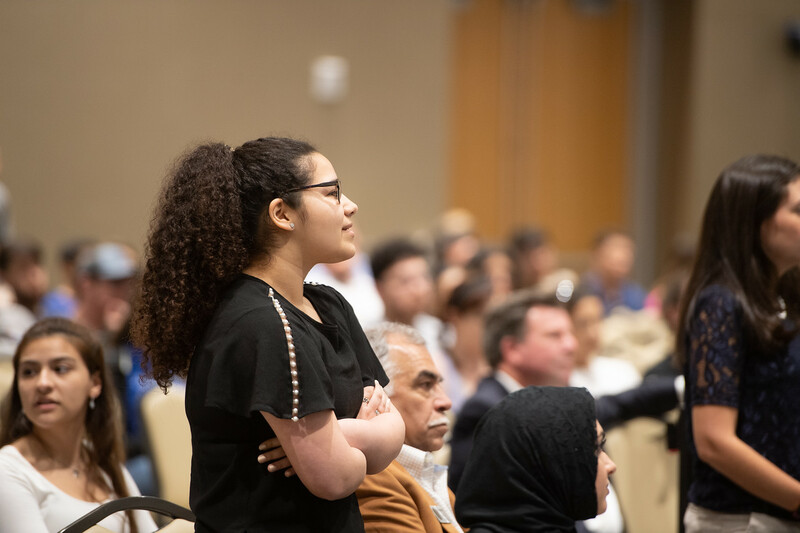 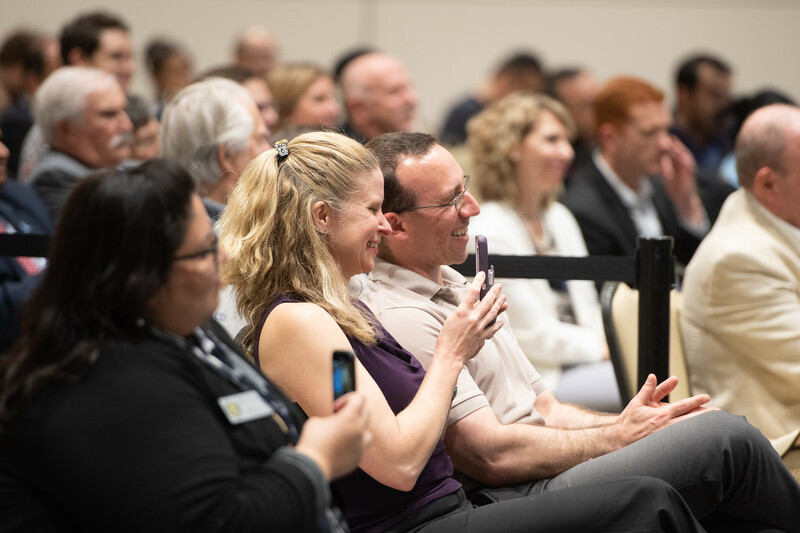 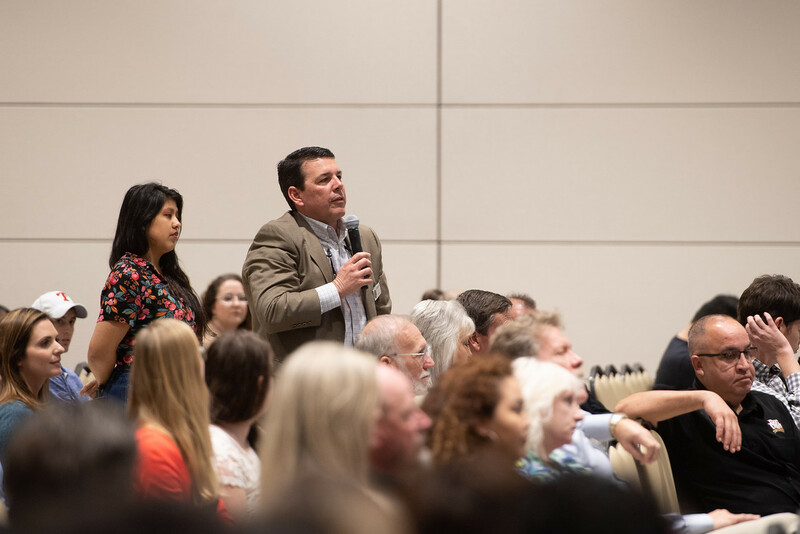 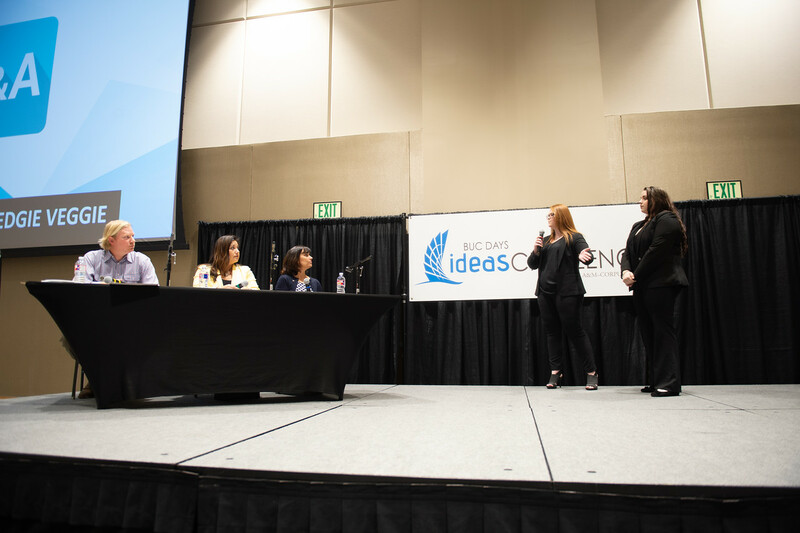 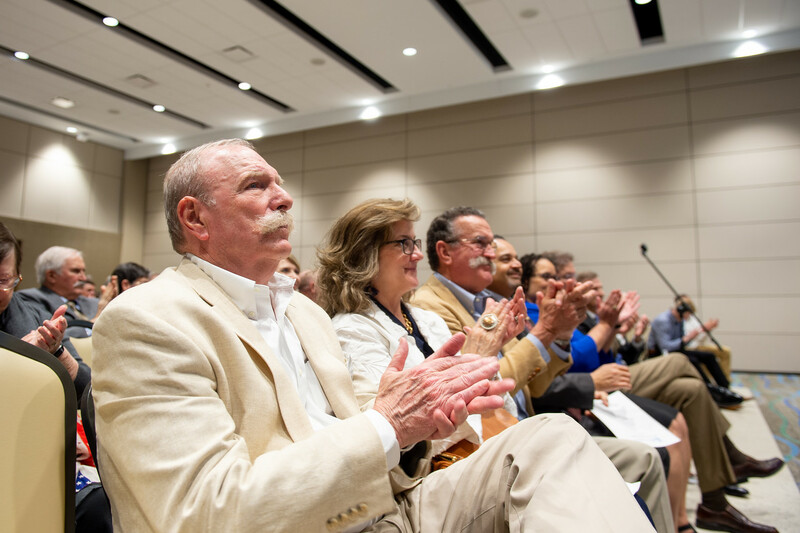 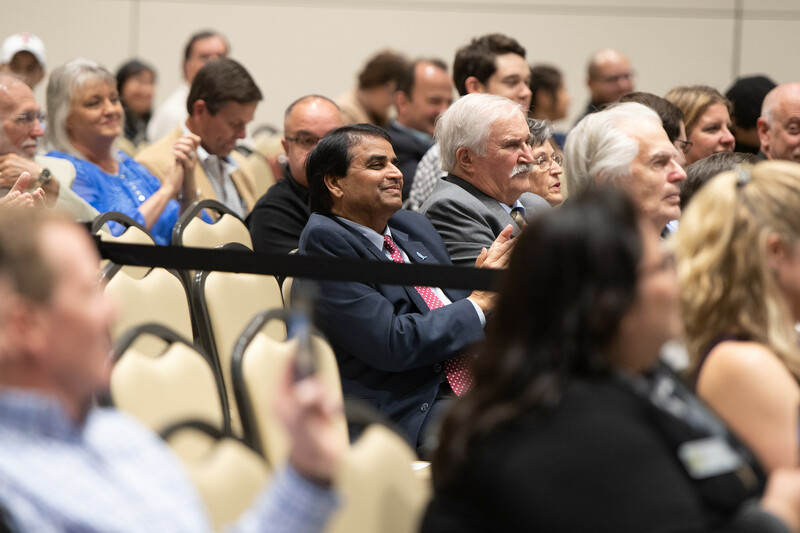 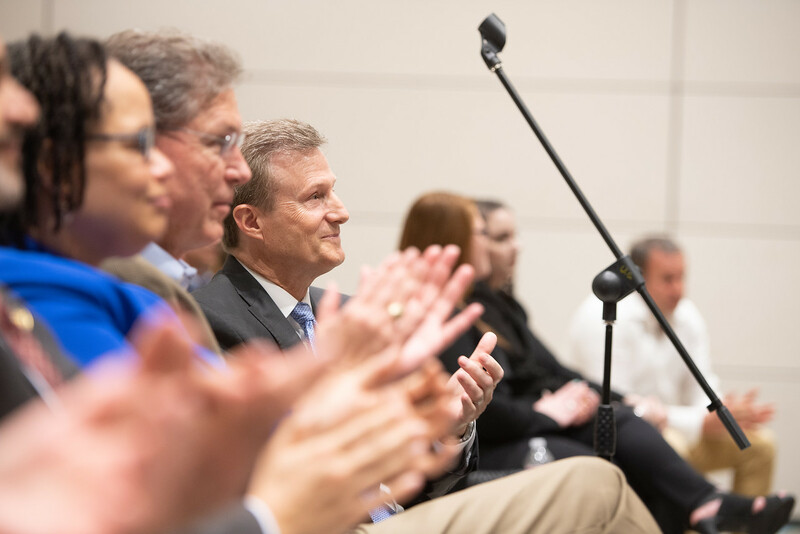 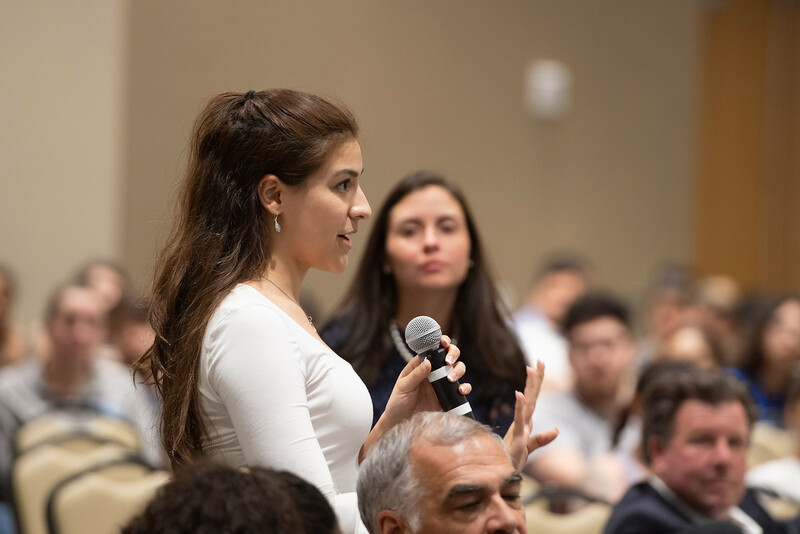 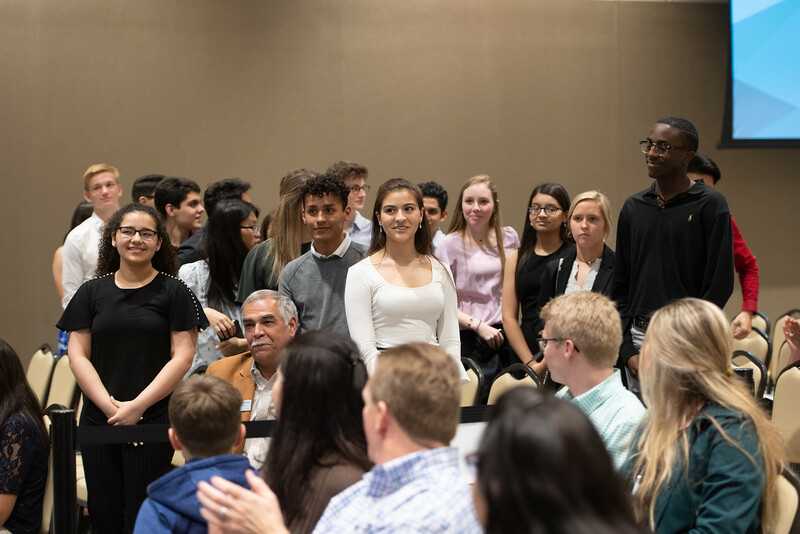 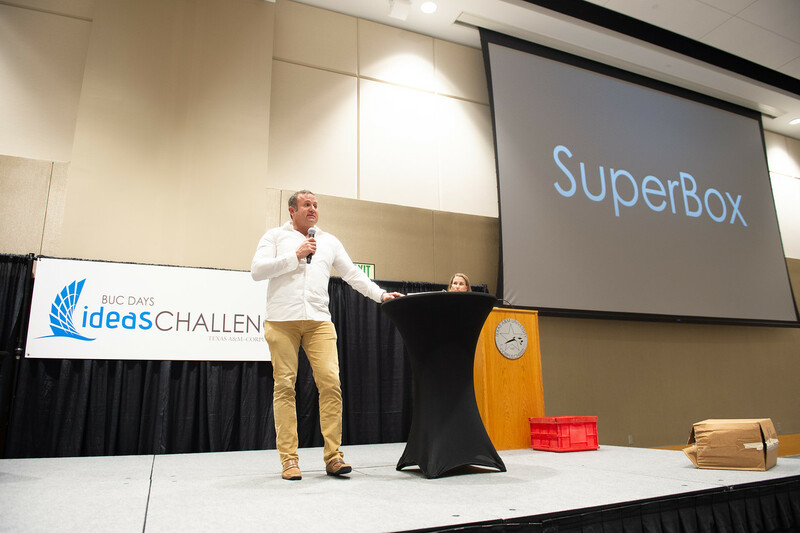 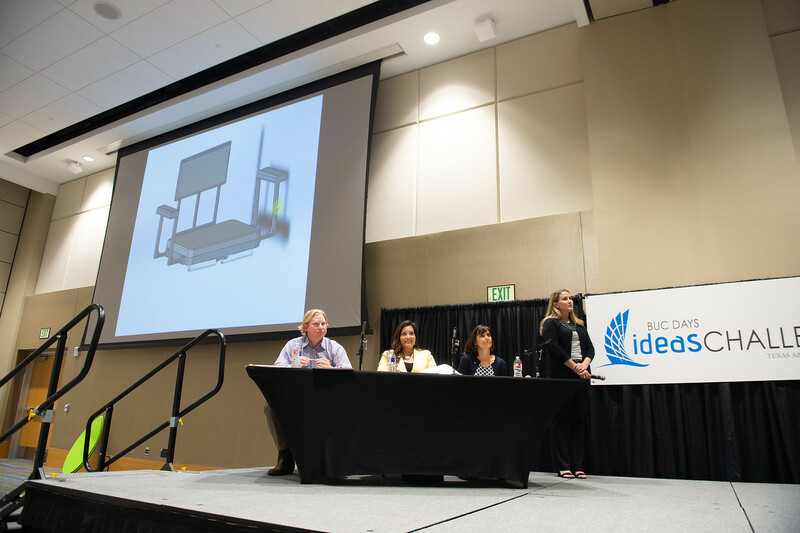 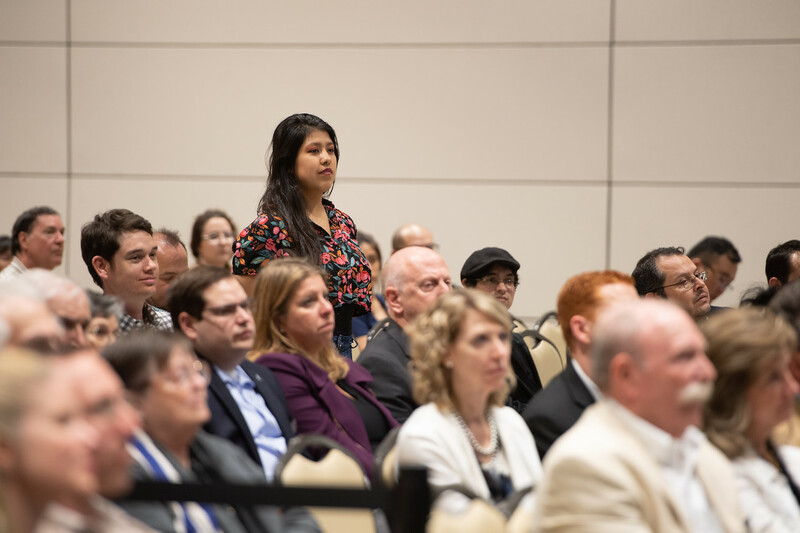 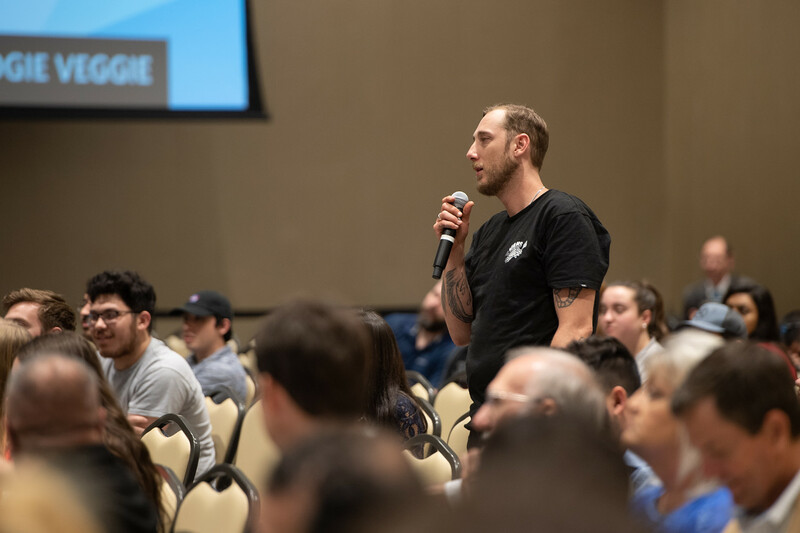 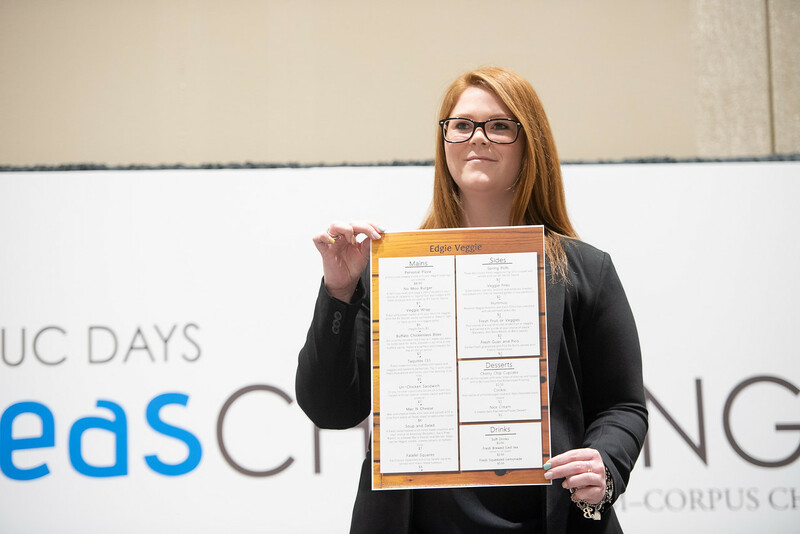 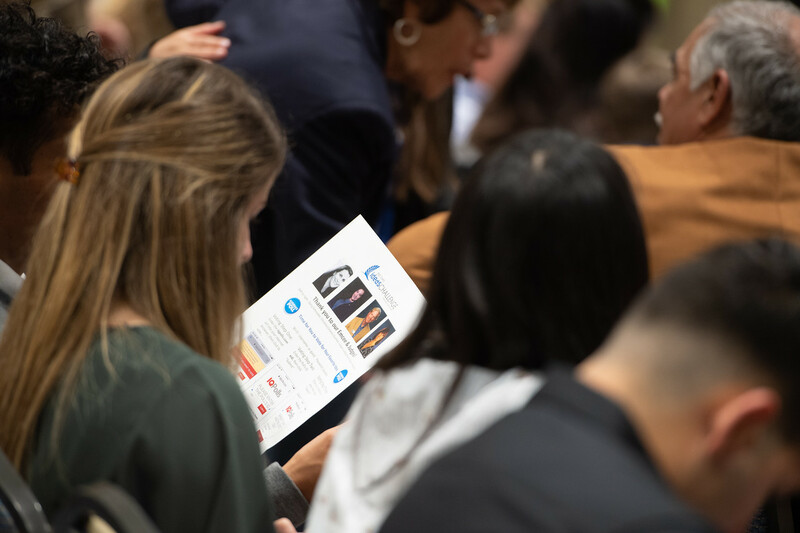 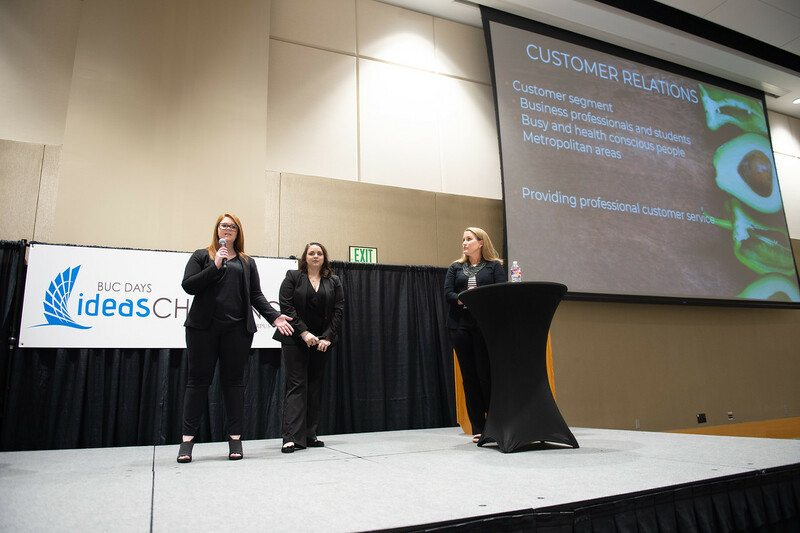 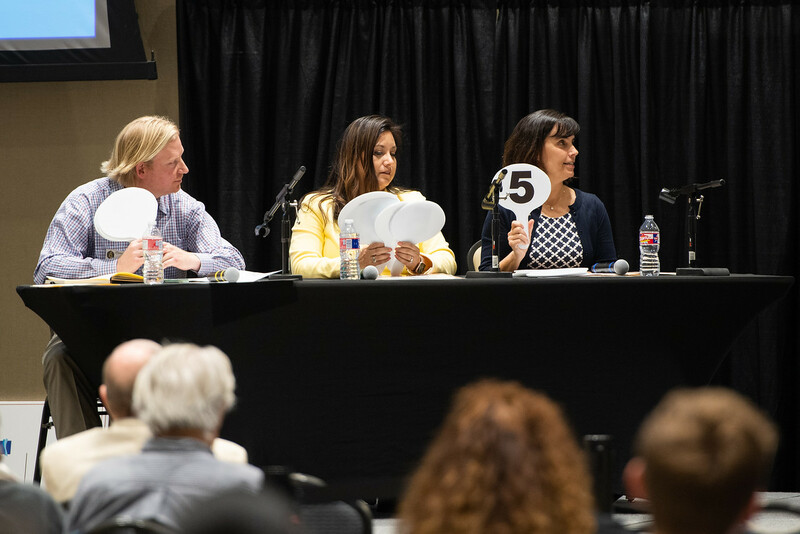 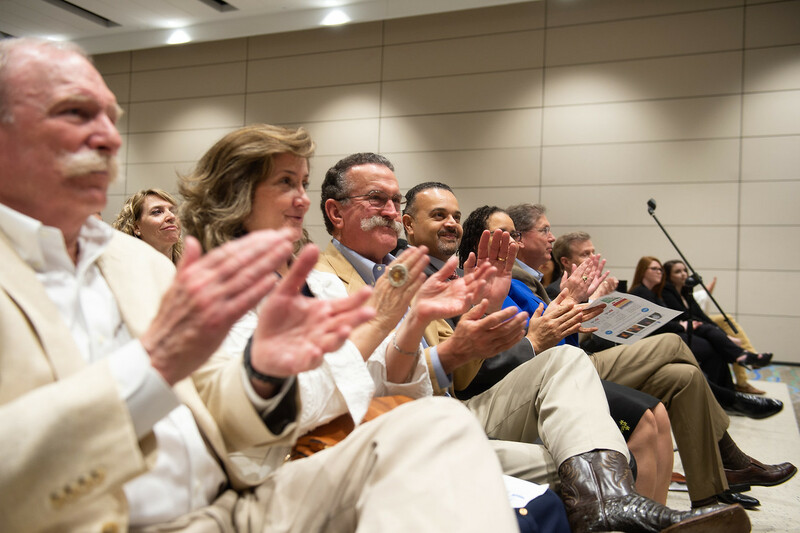 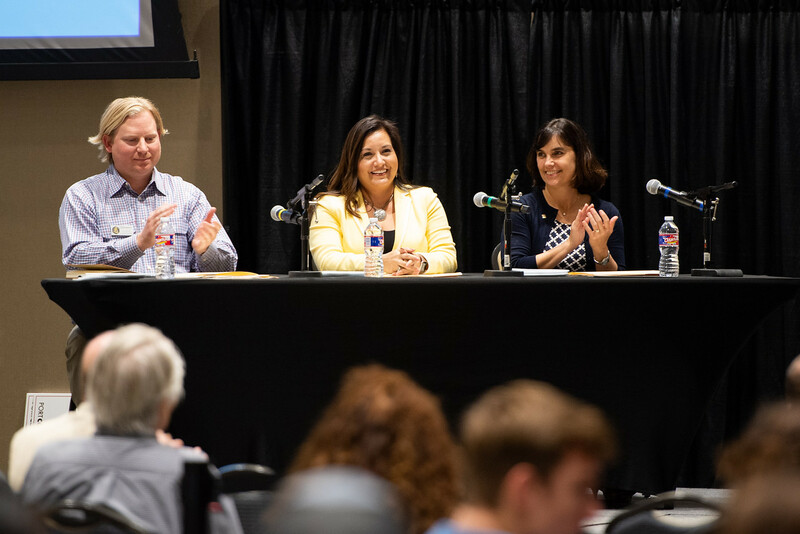 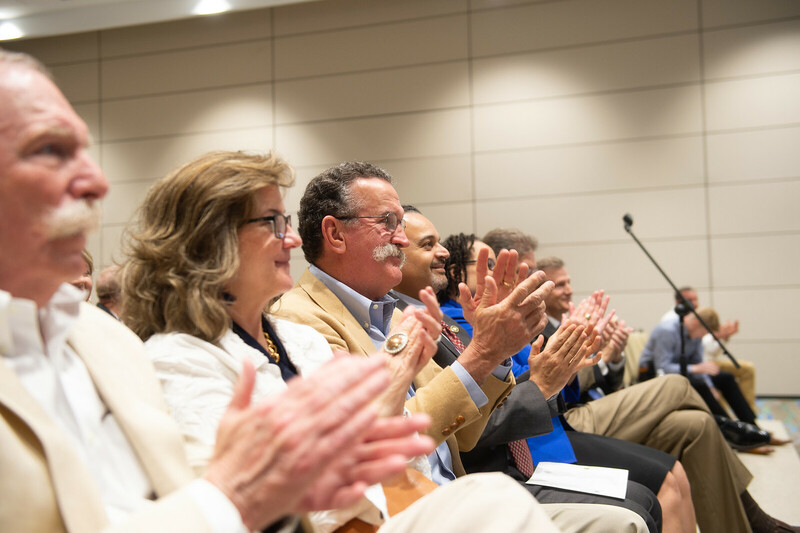 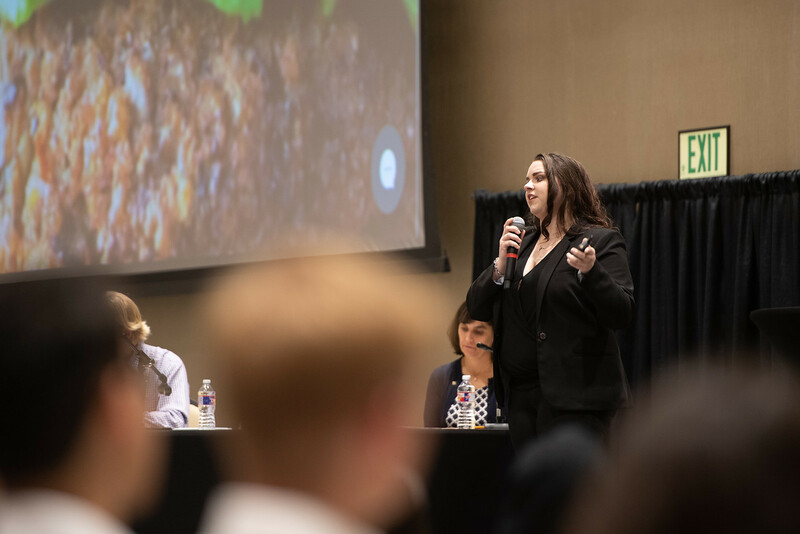 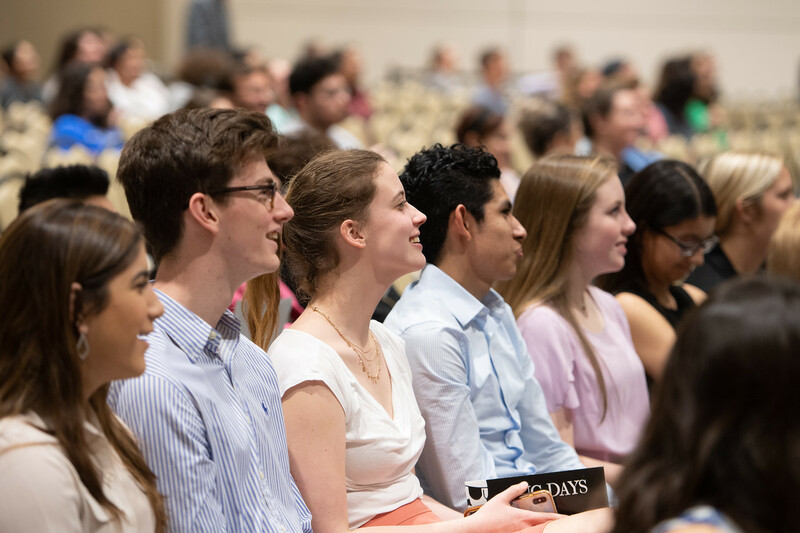 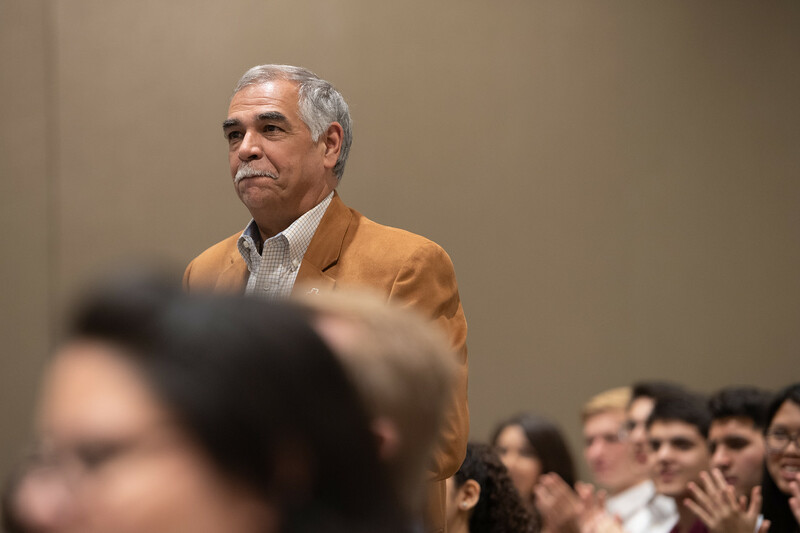 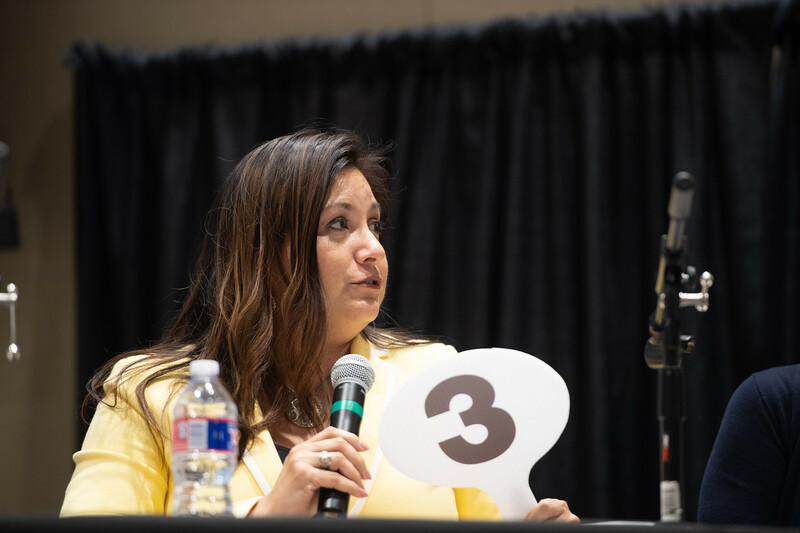 In addition to the opportunities at the Buc Days Ideas Challenge event, all grand prize winners advance to the Raymond Ideas Challenge at the Mays Business School at Texas A&M University. 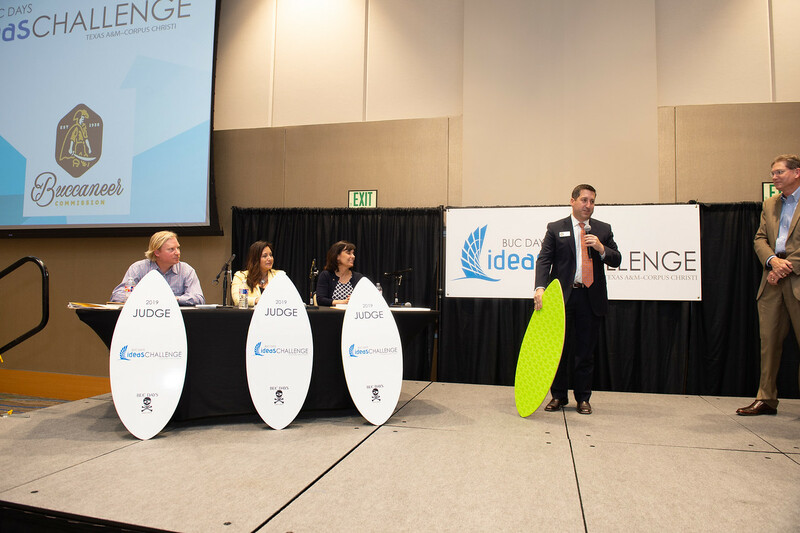 For Raglin the hope is that his Simple Seat concept will sit just as well with judges there. 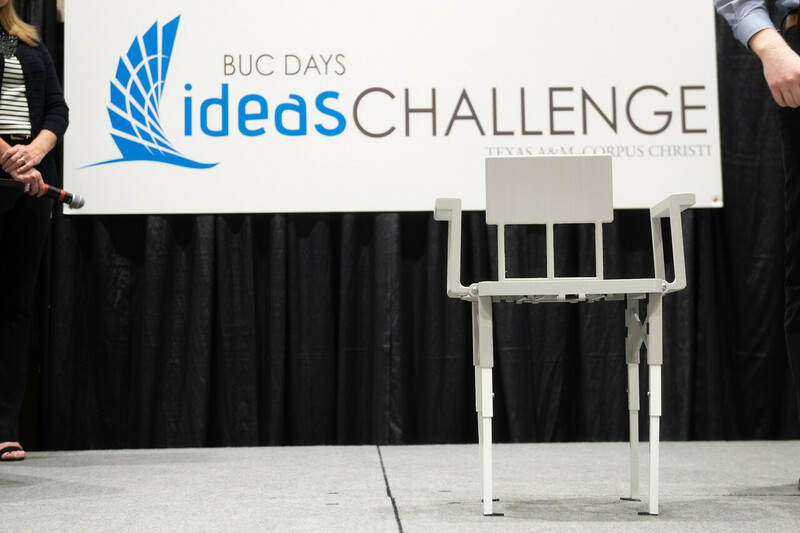 To learn more about the 2020 Buc Days Ideas Challenge go to https://www.bucdaysideaschallenge.com.